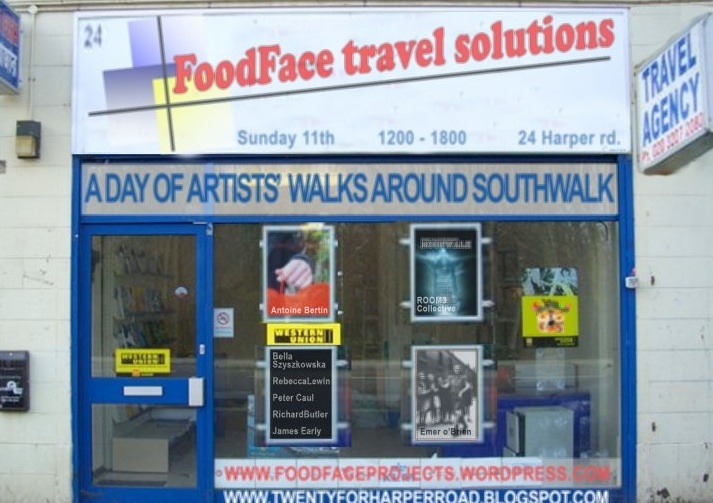 ART and REGENERATION IN SOUTHWARK | Southwark Notes - whose regeneration? 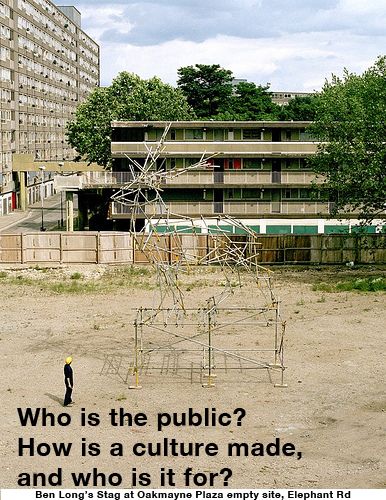 Being A Full Account of the Proposal of and The Local Defeating of Artangel’s Mike Nelson Pyramid on Heygate Estate here! WHOSE ART IS IT ANYWAY? 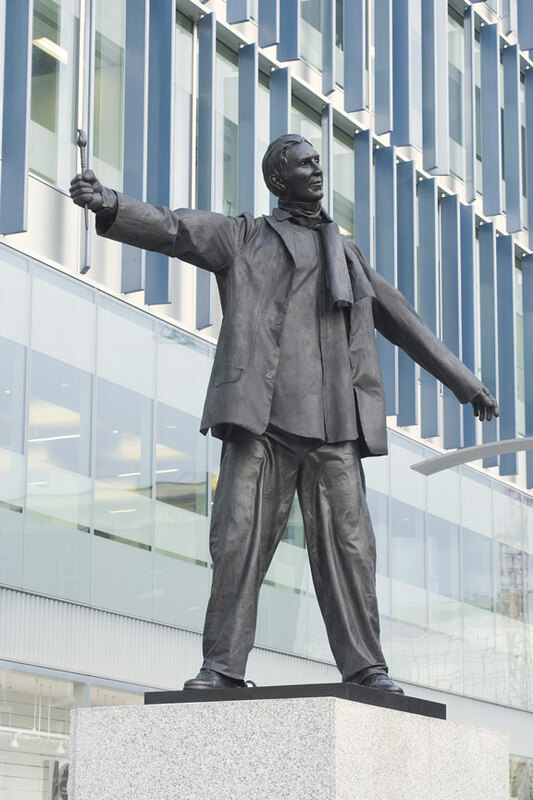 It’s not now unknown that communities undergoing regeneration often see a surge of public and privately-funded artworks springing up as part of completed office blocks or, more likely, ‘community art’ initiatives sited on transitional sites of development. One blessing, at least, is the death of 1980’s Public Art that represented a nostalgic look back at the hard workers of the past as if the back-breakin’ hard workers of today are non-existent. Sculptures of stevedores, warehousemen, navvies etc. is what we call like to call ‘muscular heritage’. It uses the dubious notion of ‘heritage’ to put a soft focus on hard work and the accident prone and often health debilitating conditions that it was undertaken in and displays it back to us as a kind of set in stone past where nothing can be said, nothing can move, and nothing can puncture these now frozen half memories. Seems like people working in the now ‘heritage’ buildings such as wharves, warehouses, factories and so on are just as immobile and immovable as the buildings themselves. It’s all just ‘heritage’ now without any sense of cause or consequence or even accountability for the firms or owners who profited from it all. ‘Heritage‘ is also the term overused by councils and developers to sell an area that was formerly warehouses and factories. It pretends to be historical but the actual history of the people who worked their bums off in the buildings is airbrushed out. Such stories only to return as statues or murals for a little local colour for the new spruced up area or worse as funky titles for new overpriced flats – The Jam Factory, The Wireworks, Spice Quay Heights, Phossy Jaw Apartments, Tubercolosis Tower, Broken Back Mews, The Severed Finger Building etc. It’s then an inevitable route to ‘conservation area’ – see the 1990’s Bermondsey Conservation Area Partnership. ‘The Deal Porters‘ at Surrey Quays is a good example of the dignity of back-breakin’ labour of the salt of the earth created in our honour by those who never did it. 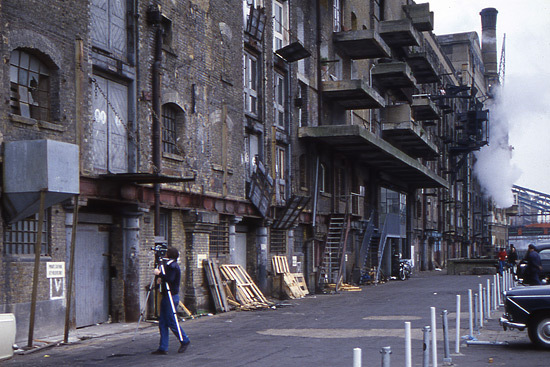 It was commissioned by London Docklands Development Corporation who were selling off public land and estates in Southwark in the 1980’s. 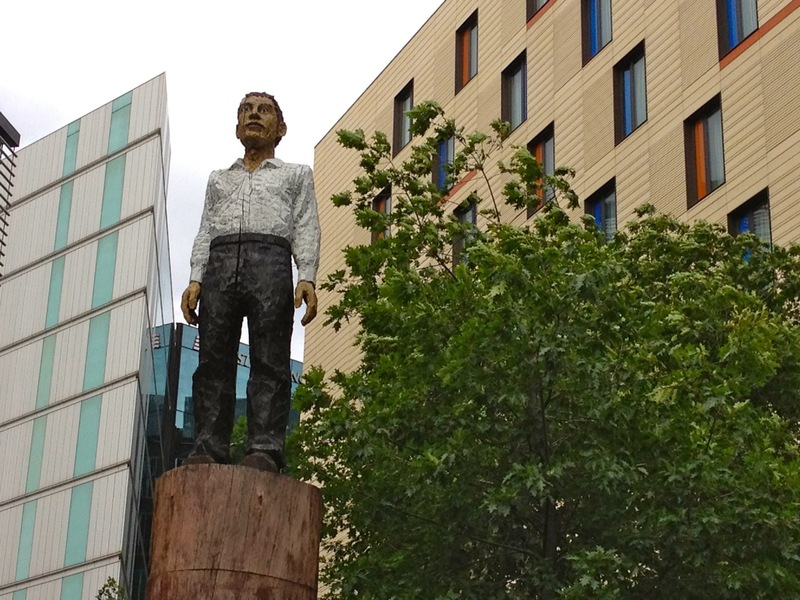 The plaque that accompanies it reads in part ‘The sculpture is a tribute to the immeasurable effort expended by the deal porters who sorted the deal, a softwood timber imported from North America, as part of the bustling activity that characterised Canada Dock until it closed in 1970“. 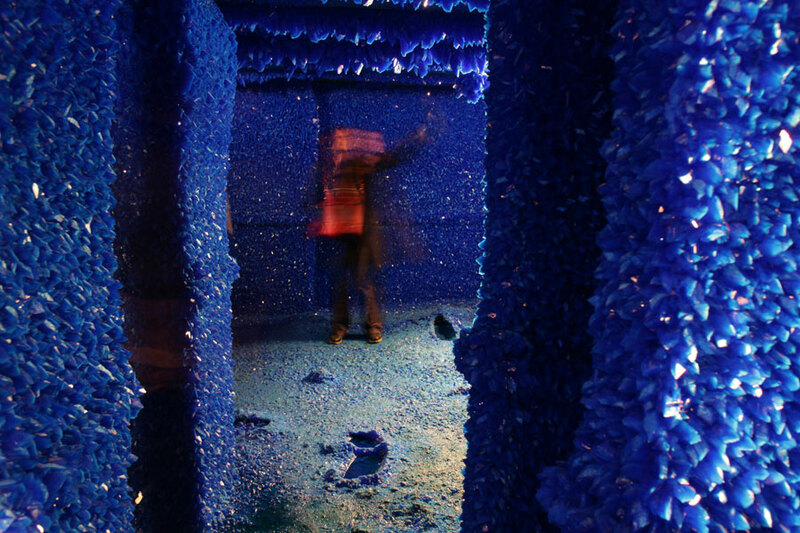 Instead, what we have seen locally has been the popular ‘Seizure’ by Roger Hiorns at 151 – 189 Harper Rd where the artist used an empty council flat in a block that was being demolished and filled it with copper sulphate crystals that grew over the six months duration and made a kind of nice blue shiny grotto. 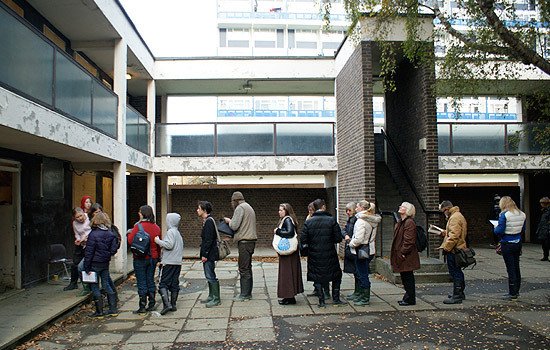 Hiorns said about the council estate he used ‘..in the great social experiment these buildings inferred, they provided no room for movement, zero mobility to move further, they are completely static materially and emotionally“. Is this true? Seizure was a hit anyhow with folks travelling from all over London to visit the artwork described in ArtForum as ‘a jewel in a rough neighbourhood“! Cue lots of arts reviews using the words ‘brutalist modernist architecture‘ and ‘grimy council estate‘ all over the place as they trekked from afar to come to ‘the backlands behind South London’s Elephant and Castle‘ which is ‘in a part of town nobody goes to unless they happen to live there‘. 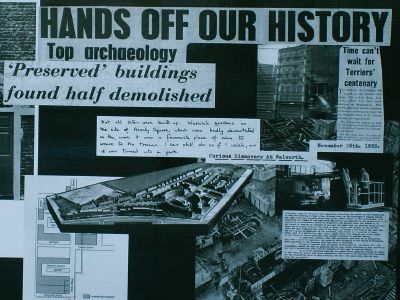 It was a controversial site in that it was specified to be demolished and be one of the infamous ‘early housing’ schemes for Heygate decanted tenants that were never built by the time they had moved out. There was also some trouble at the Lawson Tenants and Residents Association who objected to the plan for 72 Housing Association flats being built in the site as the new garden in the development seemed to exclude existing residents. Full story here. In the end what replaced the old blocks was Harper Sq where the minimum salaries needed to purchase a share towards ownership was well above the average income of local people. Hiorns was also canny enough to actually construct a kind of flat within a flat to host the copper sulphate crystals. When Seizure was over in Southwark the whole thing could then be extracted (evicted?!) and exist as an artwork in perpetuity rather than submitting itself more poetically to the wrecking ball and non-existence. Shrewd move from the young artist. Seizure is now on display for 10 years at the Yorkshire Sculpture Park near Wakefield. 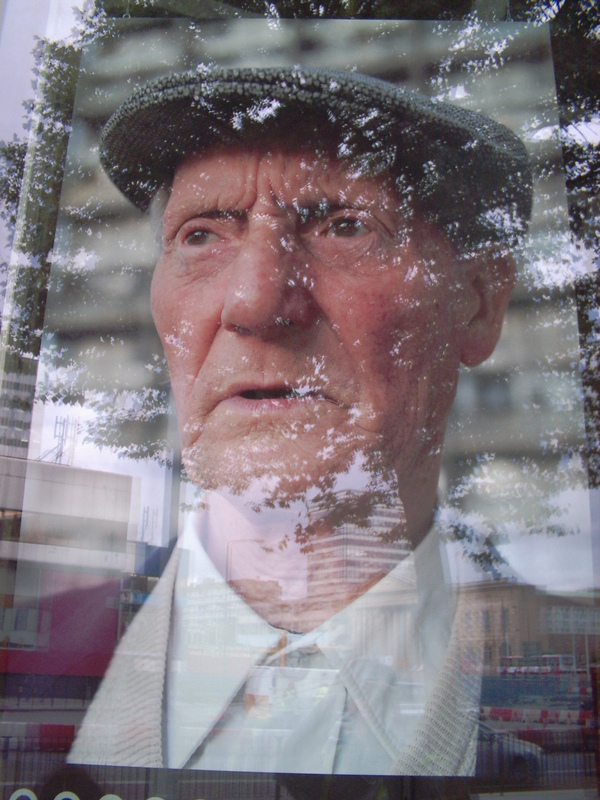 Will not be the first or indeed the last art project in local estates (Ho Ho – June 2011 – see Displaced below!). 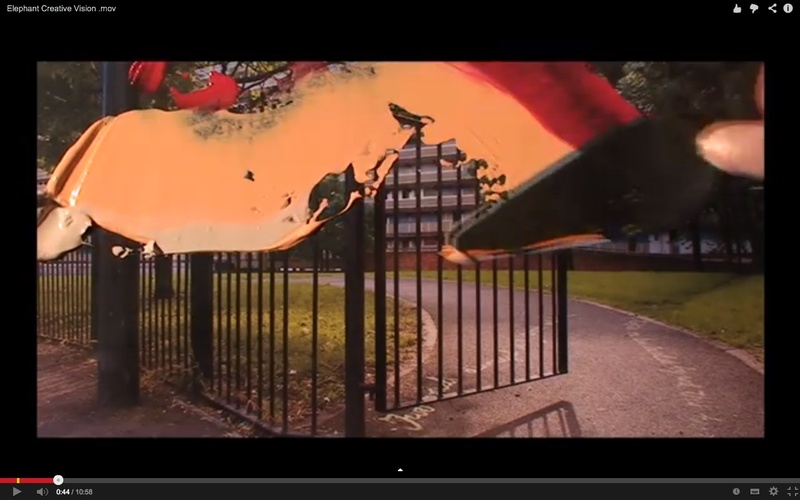 How much money on when the first official Heygate Estate art arrives? Twenty quid? More?) Oh dear, see here! The Stag by Ben Long was at Elephant Rd where the old SG Smith cars was. Stag was part sponsored by Oakmayne Properties who are planning to build a ginormous development of private housing and restaurants on the site. Stag came and went. Gill Sans by Ron Haselden in the Cannon St railway line arches at Bankside (Burrell St and Union St) feature the bridge numbers 401, 403 and 406 done in Gill Sans typeface (one of our favourites) as a kind of intentional new lighting system to make the passage beneath more friendly. A kind of hybrid public art-street furniture crossover perhaps as ‘part of the long-term Light at the End of the Tunnel strategy to transform 88 bridge and roadway tunnel lightings through an innovative use of both functional and decorative lighting, engaging with artists, architects and lighting designers’. It was commissioned by The Council as part of the making Bankside more attractive as part of the ongoing effects of the arrival of the Tate Modern up the road. This was strategically described by Cross River Partnerships, partner funder of the Light At The End of The Tunnel (LET) project, as a boost to ‘economic development and job creation in some deprived areas” by tackling dingy streets seen “as a barrier to inward investment in the area‘. The long-term scheme was not just about lighting up a load of tunnels, it was also about opening up arches to businesses and as such all the new cafes and deli’s close to Waterloo along Isabella St. Of course, we realise that such new lighting does make an area feel more local, cared for and liveable. We just wonder why such new schemes don’t seem to come around unless there is the prospect of big developments to attract to an area. Cross River Partnerships is a public-private partnership that has been part of numerous regeneration projects in London since 1994 and are in some ways a somewhat forgotten about key agency in local regeneration / gentrification. One of the partners is now Better Bankside, which is otherwise know as a Business Improvement District. 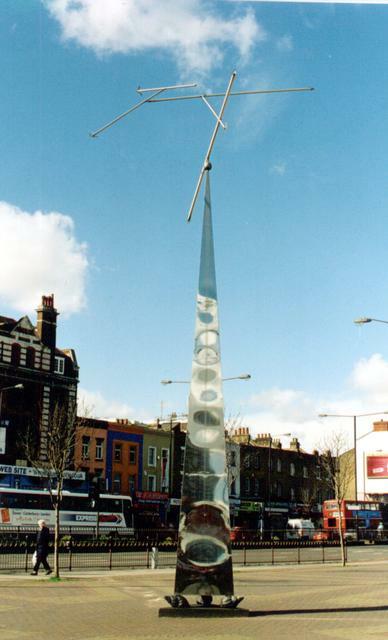 It came into effect in 2005 and was the first BID South of the river. Self-described as ‘A Business Improvement District (BID) is an independent, business-owned and led company, which seeks to improve a given location for commercial activity. Better Bankside’s members are the 460 companies in the BID area who pay its annual ‘levy’. Many of these are heavily involved in the governance of the company‘. The writer Anna Minton has published extensively on the dubious local merits of BIDS. You can read her paper What Kind Of World Are We Building? 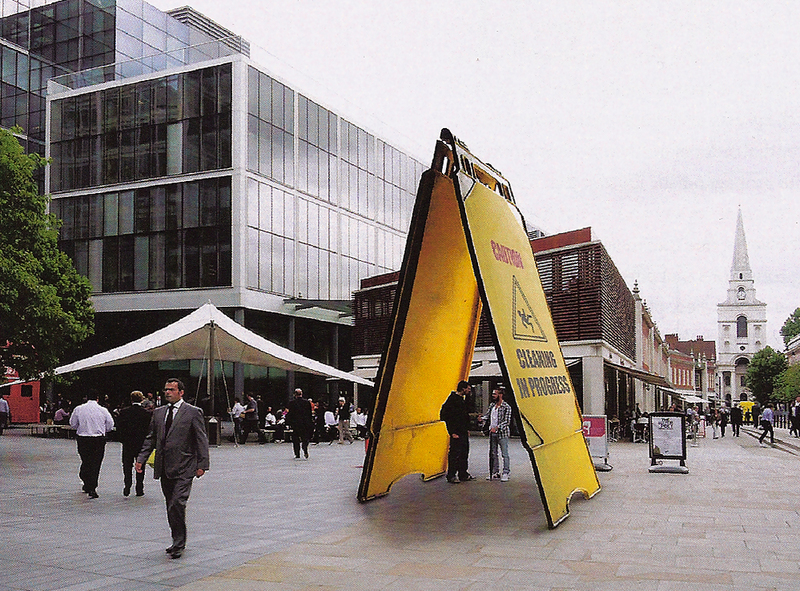 The Privatisation Of Public Space here. Other LET public art/lighting rigs can be found on Clink St (a kind of fireworks display made up from 9600 LED lights in the tunnel roof) which was part-funded in 2010 by Bankside Mix, the shopping site of the mega Bankside 123 development, through a Section 106 planning gain agreement and with some money from Southwark Council. 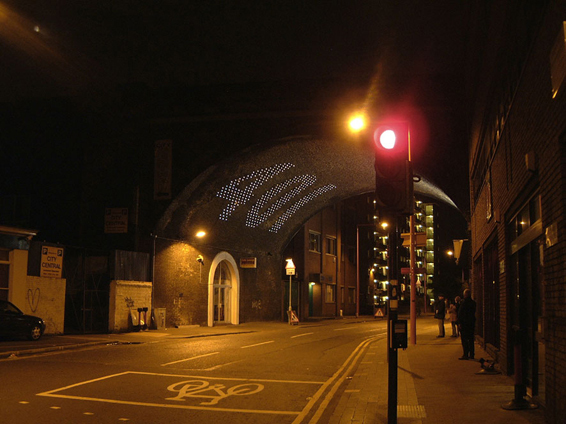 Also more LET lighting and brightening up stuff at Isabella St, Tanner St and beyond at many of Southwark great railway bridges. Is there any reason they are there? 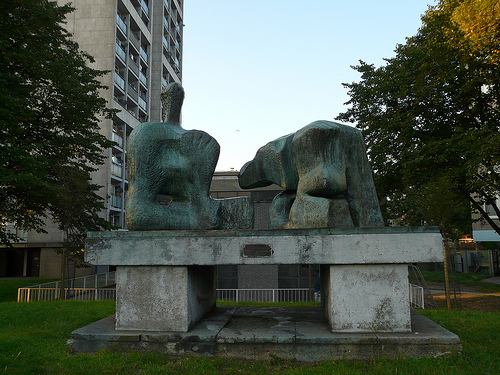 At least the mysterious Henry Moore sculpture on the Brandon Estate does more for us artistically than the execrable ‘Monument to the Unknown Artist’ by Greyworld recently inflicted upon the public on Sumner St. This eyesore was commissioned by giant property developers Land Securities for this site, as was the banal ‘Poured Lines‘ by Ian Davenport up on Southwark St pictured above (By the way, we added the black text over the coloured lines!). These temporary spectacles don’t really enhance or give much to the local community in the way that some bunce money can often be argued out of tight-fisted developers for some local trees and benches or redecorating a community centre etc. Public art, which can seem at first sight to be a generous gift, often really works as best an advert for an up and coming area. Without writing an essay worthy of the length of ‘War and Peace’, we would say that a dubious set of supposed cultural values often accompanies the imposition of ‘culture’ into local areas in the form of public art as if we have not been making our own culture for hundreds of years here. Bizarrely enough (or we suppose exactly the kind of thing we are moaning about above), Joseph Kosuth has created the appalling ‘A Last Parting Look (for C.D. )‘, the CD being Charles Dickens who knew two or three things about the area. To sum up, a load of text from Pickwick Papers has been placed down the side of the newly gentrified warehouses at 22 Leathermarket St and it lights up at night (see ‘cos the text talks about light and dark!!). Sponsored in part by the Arts Council, we wonder why this is here, why it was ever chosen and what happened to Joseph Kosuth who started out in life as a heavily Marxist conceptual artist who had at the time two or three things to say about art, middle-class culture, power and wealth. No longer it seems. Bummer! Anyhow another U.S.P on your luxury flat! 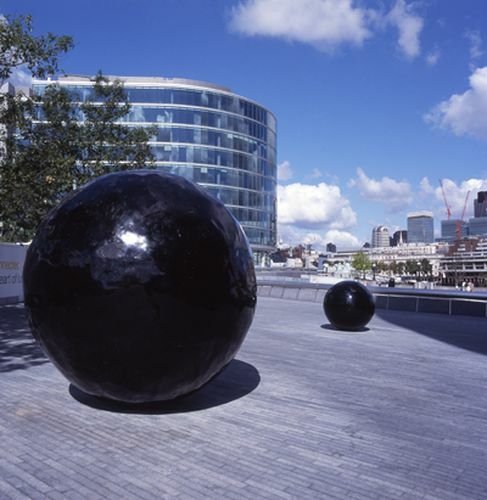 Fiona Banner’s Full Stops from 2004 are five pieces of ‘public art’ as part of a Section 106 community contribution and nicely highlighted on The Council’s plug for the ginormous 13 acre More London development at Tower Bridge. Section 106 planning agreement between More London Development and Southwark Council was for £230,000 for art as part of the development and then increased by More London to £350,000. A further £105,000 raised from Pool of London Partnership and the Arts & Business New Partners scheme. Banner’s Balls are described as ‘like a sentence from which the words have been removed, the Full Stops are playful in character, and yet full of pathos. When long shadows double their form on sunny days, their monolithic and almost totemic quality is even further enhanced‘. Basically Fiona took five full stops from five typefaces and enlarged them, made them three dimensional and Bob’s Ya Uncle thus giving the public ‘in solid form the pause, the silence, the moment we draw breath and reflect. The full stop is both a beginning as well as an end‘. 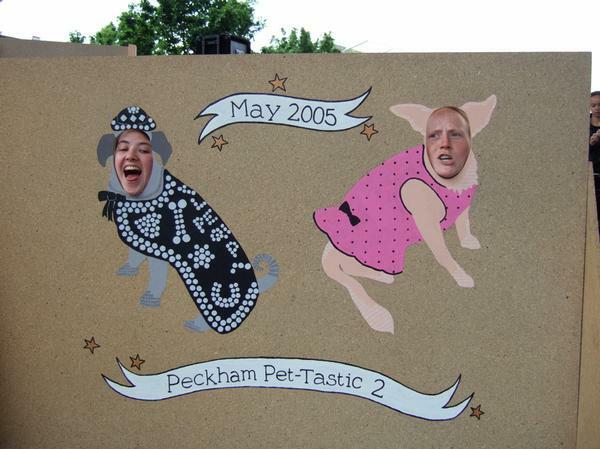 We here at Southwark Notes Cultural Dept are still holding our breath on this one! 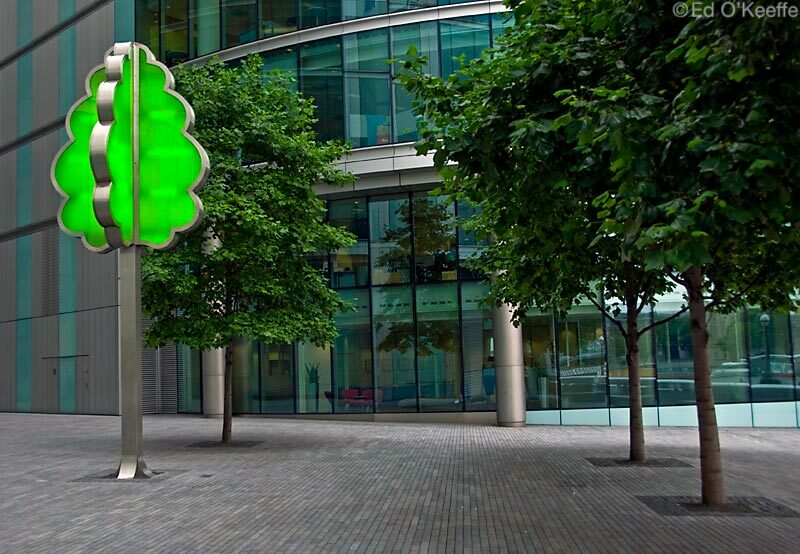 Also at More London is David Bachelor’s Evergreen, a bright green fluorescent light sculpture of a tree made from acrylic and steel erected next to some trees, made of wood, bark and leaves that don’t light up. Evergreen took around £75,000 of overall budget for public art for the site of £455,000 and was opened in September 2003. Then there is also Couple by Stephan Balkenhol, a wooden carved couple on totem poles described thus: ‘Balkenhol avoids creating a narrative or leading to an allegorical interpretation. His figures are devoid of specific associations. His figures wear nondescript outfits, further emphasizing the everydayness of their forms and not likely to give anything away‘. 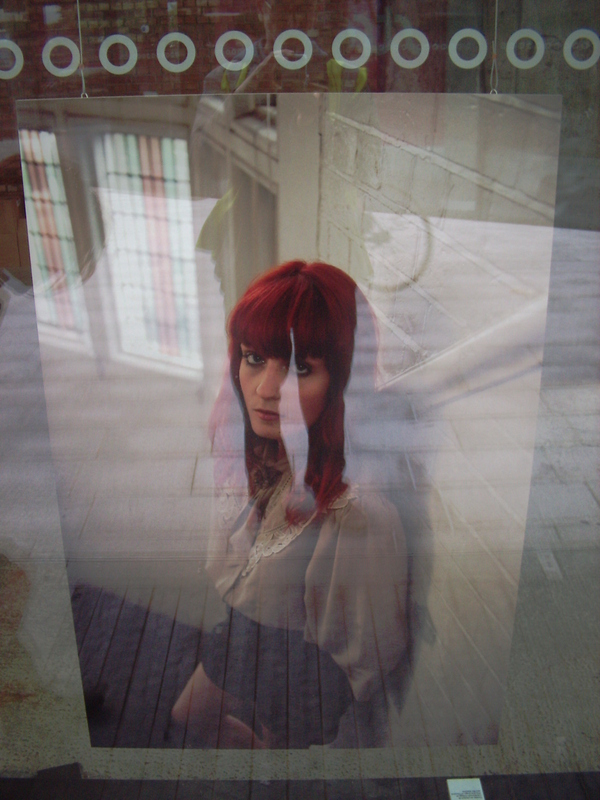 Alison Marchant’s Trace appeared in the summer of 20o5 in the windows of the gentrified Neckinger Mills on Abbey St. 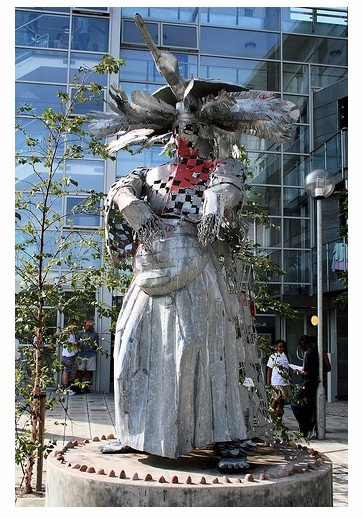 It was definitely better than the other statue-style public art in that as a working class woman and artist she had attempted to connect both her own history and the hidden history of the women mill workers together. The work was also based on interviews with surviving mill workers which was turned into a radio programme. 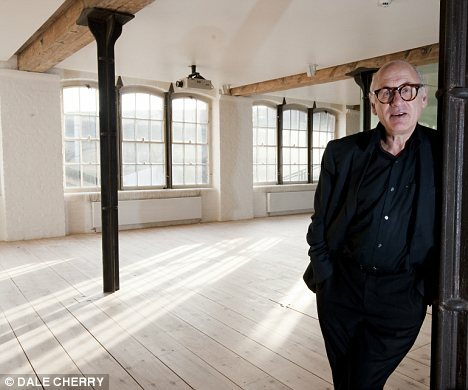 Somewhat amusingly, the owner of the flat, the composer Michael Nyman, decided he couldn’t live in such a crazy bohemian loft as he first imagined he might so he put it on the market for ‘cool’ £1 million after seven years of non-residential ownership. 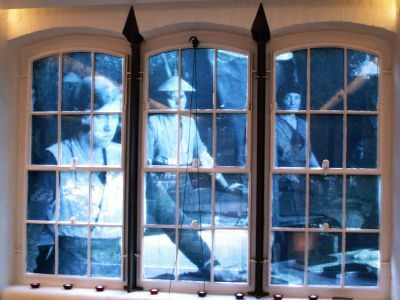 He said “‘An artist friend made me a large frieze of old photos she had found in archives of the site’s tannery workers,’ he says, pointing to the windows that line one side of the flat. I had it printed up on plastic and fixed to the panes on that side to block the view of the flats opposite’ Even though Michael has had the property on the market since March this year at £1.15 million there have been no takers“. You can see the artwork in the estate agents brochure (above) which reads: ‘To be able to acquire 2,233 sq ft of lateral space with high ceilings and create your own fantastic loft style apartment must be a wonderful opportunity, in fact a dream come true! Built in the 19th Century, Neckinger Mills became a successful tannery, assisted by the fact that the river Neckinger flowed near by. It is mentioned in Charles Dickens’ Oliver Twist as Fagin taught the children the art of pickpocketing there. The Mill’s gated courtyard provides private parking for two cars. With Shad Thames, Borough Market and Bermondsey Antique Market a stroll away there is no lack of excellent shopping, restaurants and good communications”. All the contradictions of art, loft living, Fagin, millions of pounds and labour’s lost history spin around our heads! Anyhow the brochure does not mention the U.S.P of the public artwork! Long-term local boy Reuben Powell’s (one-time Artist-in-Residence at the Elephant & Castle Shopping Centre) gallery on the second floor of the Shopping Centre was much more contradictory. 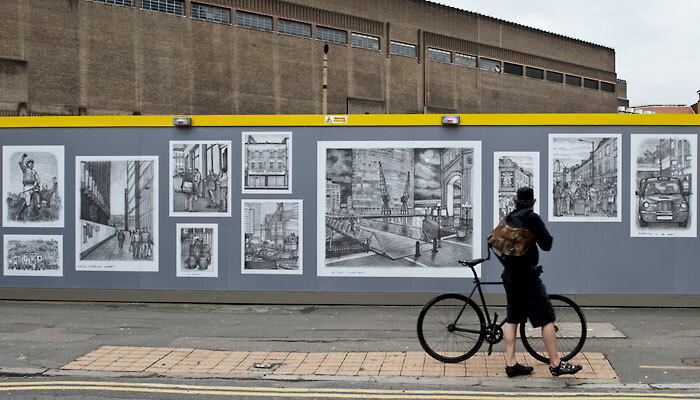 Working with some Regeneration sponsorship, Powell creates quite beautiful large-scale charcoal drawings of the demolition and construction of the area, a record of the changes that neither affirms or denies this process but merely aestheticises it for consumption, and sale. 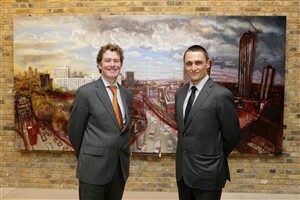 Nigel Hugill, chairman of Lend Lease, sponsor of an earlier exhibition alongside Oakmayne and Lend Lease, said “Reuben has a unique style and his project is a good example of how art can meaningfully capture the area’s changing face for future generations to enjoy‘. 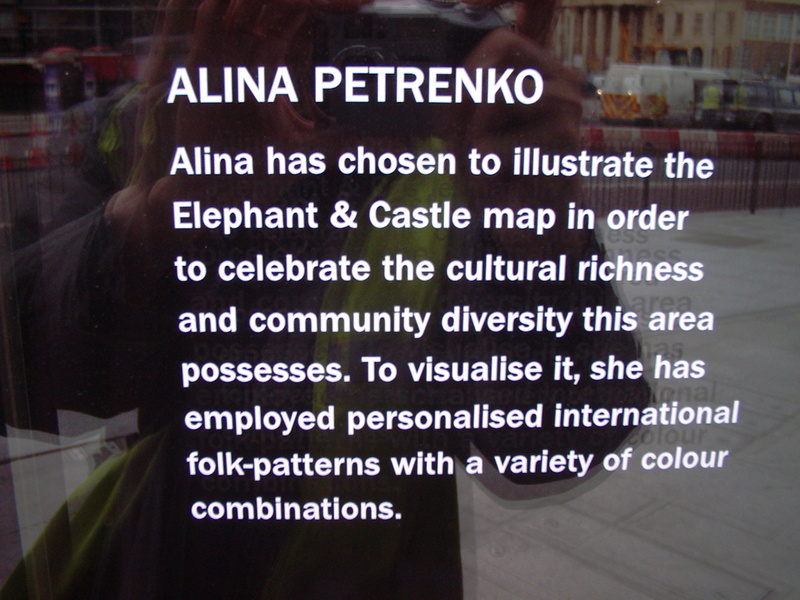 Reuben’s 4 by 2 metre painting on tin called ‘Elephant And Castle’ was on permanently display in the foyer of the new Tooley St Southwark Council offices but after a few years it has been replaced by some other welcoming . The two blokes in front of the picture here are Nick Stanton (ex Leader of Southwark Council) and Lend Lease’s UK boss Dan Labbad at the time (and now gone up in the world to Lend Lease Chief Executive Officer of Europe, Middle East & Africa). 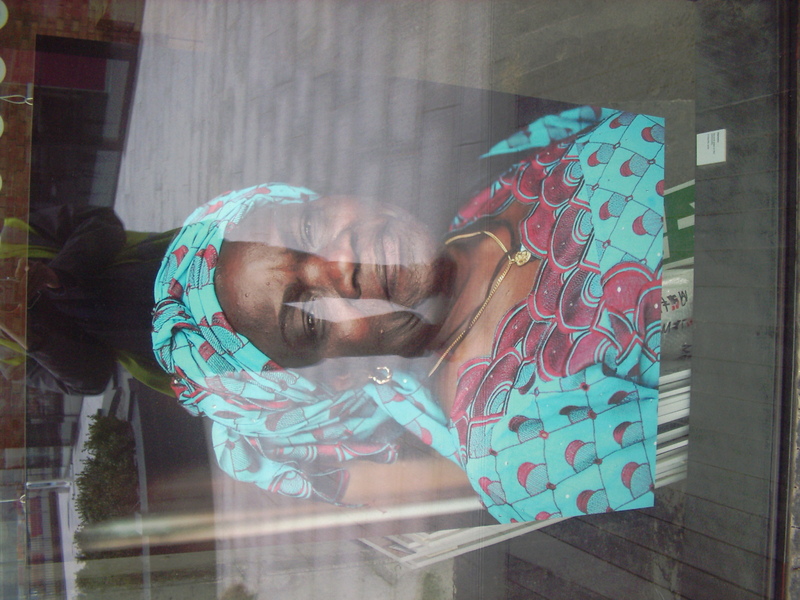 A Reuben Powell original painting also hangs in the lobby of Oakmayne’s private homes development 83 Crampton St, SE17. Since 2009 Reuben has been running a venture Hotel Elephant in different pre-development buildings offering exhibition space, studio space, party space and so on. 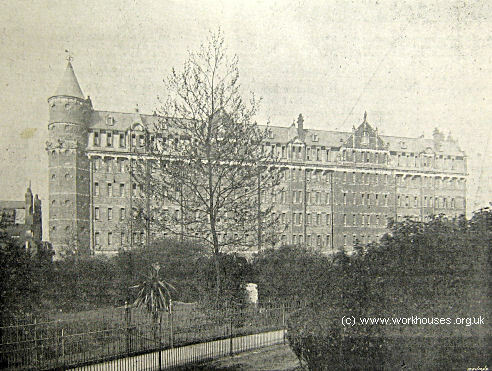 First version was in an old warehouse by the railway bridge at 77-85 Newington Causeway. Here for the details of the shows. 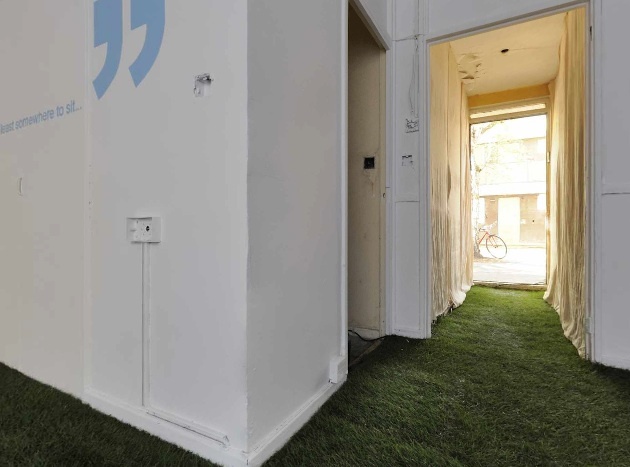 – September 2012, as one of three LendLease chosen interim use projects, Hotel Elephant moved into the old Doctors Surgery on the almost empty Heygate Estate and launched its new incarnation as part of the annual local Elefest 2012. 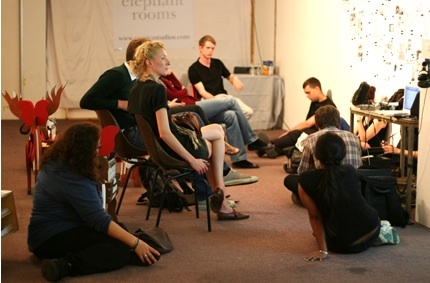 Hotel Elephant ´is committed to developing self-sustaining and accessible cultural activities in our neighbourhood´. Elefest was one of seven recipients of funding from the new Lend Lease-created Elephant and Castle Community Fund out of a 25 grand pot. 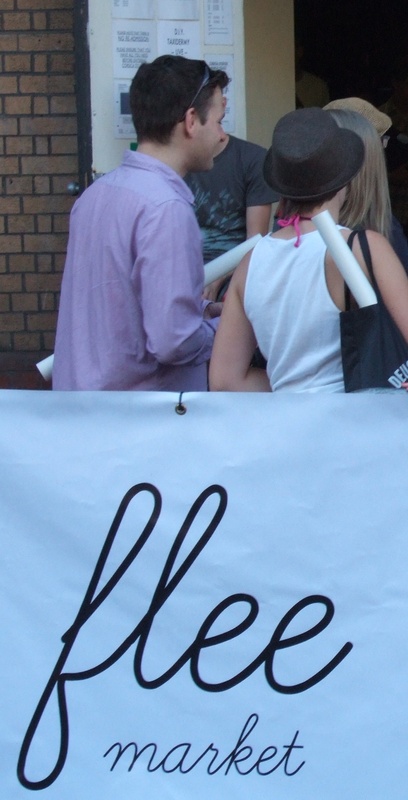 Reuben was one of the two directors of Elefest (now resigned as director April 2013) which turned itself into a Private Company in March this year to take on the running of the festival which was first established in 2002 by New Elephant Open Network NEON). NEON was ´a voluntary organisation that aimed to keep the creativity of local people at the heart of the Elephant and Castle’s regeneration´. 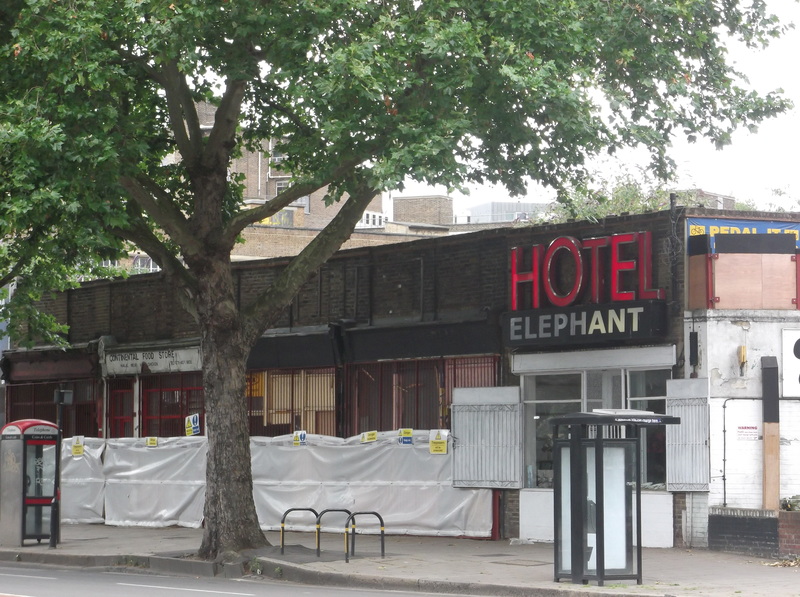 Hotel Elephant has also taken over ‘caretaking’ of two other large yet-to-be developed sites at Elephant on Newington Causeway. 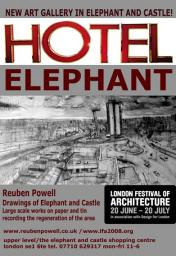 Yet a further twist is the idea to open up a Hotel Elephant cafe in the redeveloped ex-Town Hall in Peckham Rd although at July 2016 we wonder if this is still a go-er? Answers on a postcard to our decrepit mansion house in Rotherhithe. None of this is meant to point any mean or personal finger at Reuben or the other director Rob Wray and Elefest nor to suggest anyone is making any real money from it. They aren´t most likely so let’s be clear on our position here – we just wish that there was some way for these obviously hard-working artistic endeavours to step back from the abyss of council and developer-funded spectacles that are, at the end of the day, only about the promotion of The Elephant regeneration agenda and it´s attendant gentrification. It´s the oldest story in the book that artists make an area attractive for investment and then they are the first ones to lose out when all the temporary spaces and cheap studios are converted to expensive flats. 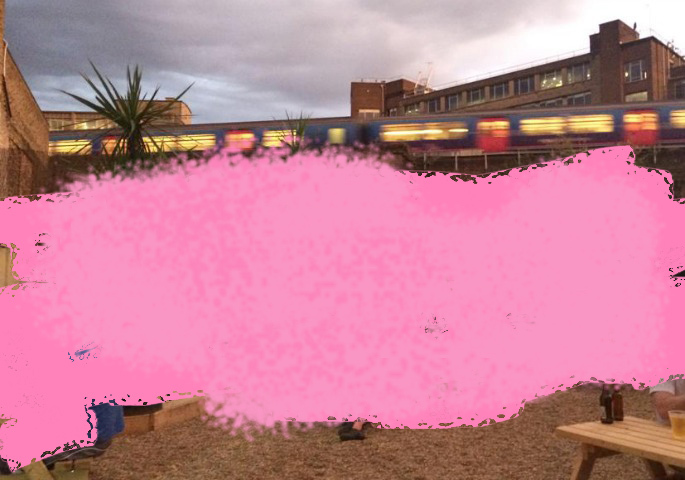 Not only that but there is some kind of sensitivity needed when bringing art and artists to the Heygate site. That place is a open wound for many who were treated by The Council with appalling contempt.It was also a place where local people were still fighting Compulsory Purchase Orders at that time. It was not an empty site ripe for more adventures in the art playgrounds of recent graduates from St Martins and Chelsea art colleges. Or, if it can be that, then there needed to be some discussion first with those who homes were still there. 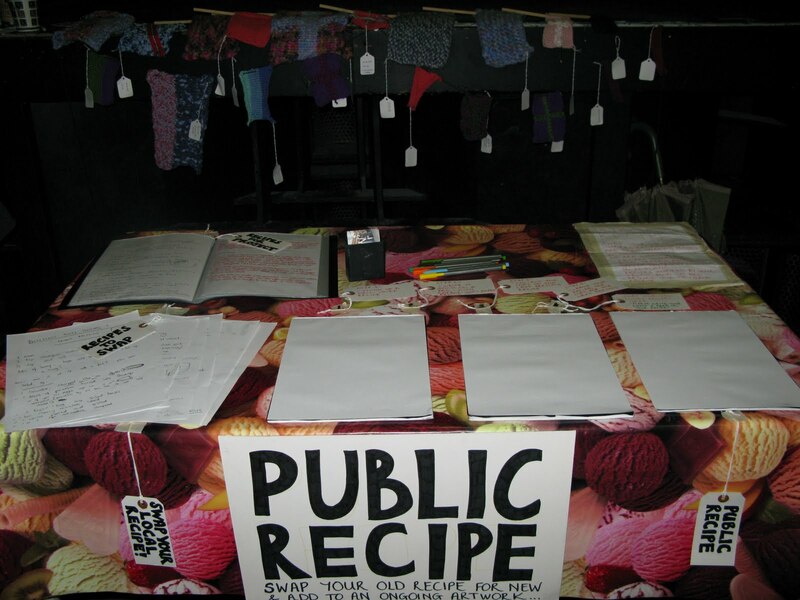 Otherwise don´t talk about ´community´ because the Heygate community (or a better description – different communities within the estate) were thrown out of the area against their clearly expressed desires and wishes. This was only done to free up the land and to bring new more super expensive private housing to The Elephant in place of 1100 large, cheap and much enjoyed secure council homes. 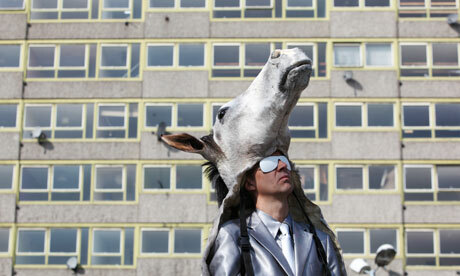 Any art on the Heygate can only happen because of that displacement. 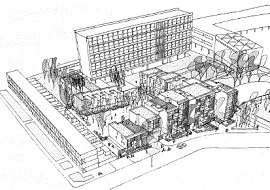 There is no real sensitivity in this recent Jan 2014 statement from a Hotel Elephant co-ordinator: ‘“What we really tried to do was not to have an opinion or comment on local political issues or the redevelopment of the estate. Our focus was to do what we do and to do good work. We were just focused on having a positive use of the space’. Art as neutral kind of thing! 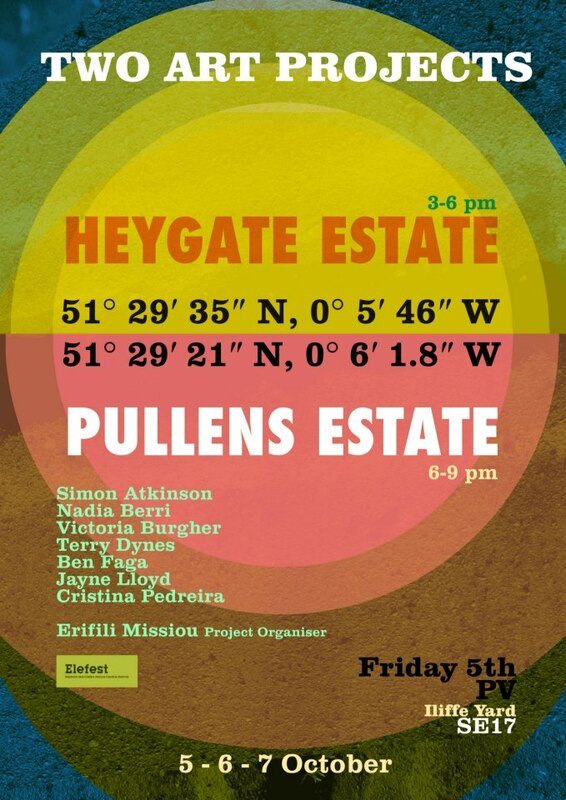 The Heygate was neither empty nor totally derelict at that time (as Hotel Elephant knew very well) with many local people maintaining community gardens, film shows, chickens, social gatherings, walks and so on – not as a scenic ‘backdrop’ to anything but for real! Two weeks after this Opening Night the last leaseholders went to their Compulsory Purchase hearing (and ordeal), the last thing they needed was artistic talent. What they needed is solidarity and support! Or then there is this. We simply don’t know what to make of it really! Arts and culture just played as neutral once again with no critical statements to make on a giant corporation devastating the social housing of the area. Worse than that such promotion of local culture given freely to Lend Lease who are in the business of selling houses and not so bothered about the culture stuff. Or this! Poor soddin’ kids! Make a nice picture and proud of it but totally cynically used by Lend Lease who say this will ‘help them understand more about construction as well as the changes that are being made to Elephant & Castle as part of the ongoing transformation of the area’. This was a much more honest approach with school kids. At least it asked questions about why the place was being demolished! How many of these local kids as part of local families will ever be able to move into these new homes? Very few we wager. Not only that but once the kids are adults will they be able to afford to remain in the area once regeneration has sent rents and house prices sky high. – July 2014: Hotel Elephant space at Newington Causeway behind in the warehouses now includes a shop space/ gallery on the site of the old recycled bike shop Pedal It which was forced out when the earlier Hollybrook proposed developments here displaced all the small shops in that parade. 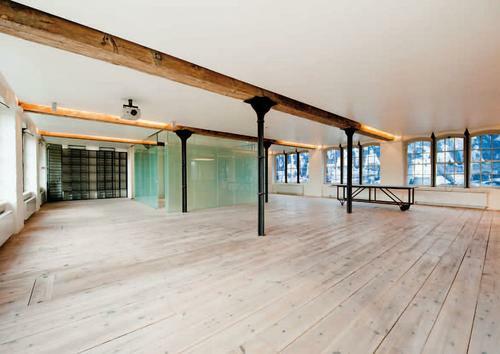 The whole venture runs ‘due to the kind support of The Peabody Trust and Southwark Council‘ so ‘Hotel Elephant has the use of an amazing 15,000sqft warehouse space and shop front in SE1‘. 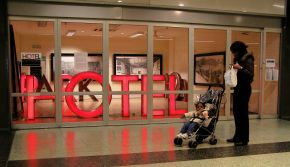 Supported by charity Artcore International, Hotel Elephant is a good deal for Peabody who as a charity can claim Charitable Rate Relief of 80% due to the temporary use of their site buildings. Hotel Elephant also rents out studios spaces in their borrowed building as well as hiring out the space for assorted functions. 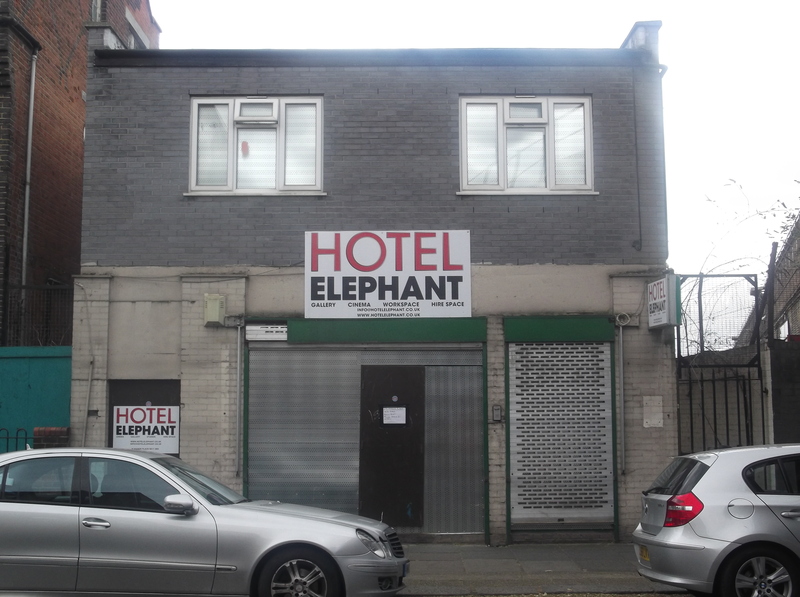 June 2015: Hotel Elephant finds another space back in Walworth on Manor Place. This site part of the giant Manor Place Rubbish Depot development with Notting Hill Housing Trust (developers at Aylesbury Estate). This former public convenience turned cab office and housing site didn’t seem to last very long. 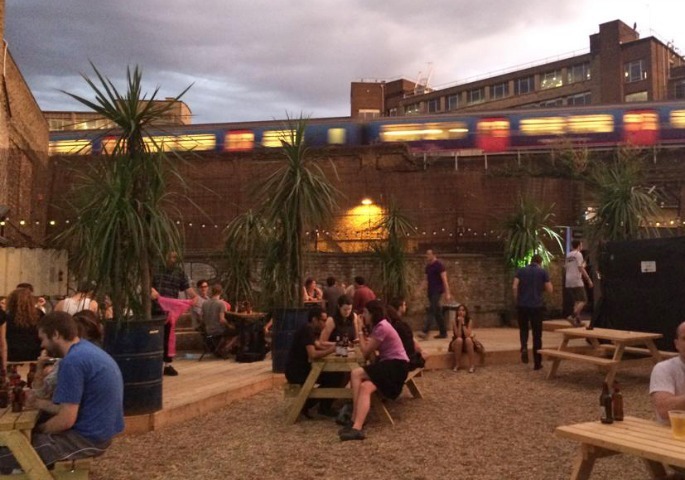 July 2016: Hotel Elephant goes big and permanent and opens in Spare Street, SE17 ‘ 8,750 sq ft of workspace and a public space across five railways arches… and workspace for between 80 and 100 emerging artists and creative entrepreneurs including recent graduates, local micro businesses and growing creative businesses‘. Funded from public money to the tune of £174,000 (Southwark Council funded: £86.900 / London Development Agency £86.900) the Council was very excited about it. Southwark’s cabinet member for regeneration and new homes Cllr Mark Williams said: “We want to unlock hundreds of railway arches in Southwark with new shops, cafes, artist studios and cultural spaces with new high quality public realm for our residents and visitors to enjoy’. It was also reported that ‘the council and Network Rail will be working very closely with current tenants to develop the idea further and encourage their involvement in the process, with the next phase expected to look at the arches along Elephant Road’. None of this can bode well for the long term local businesses existent in arches at Elephant Rd, primarily the Latino businesses of the last 20 years. 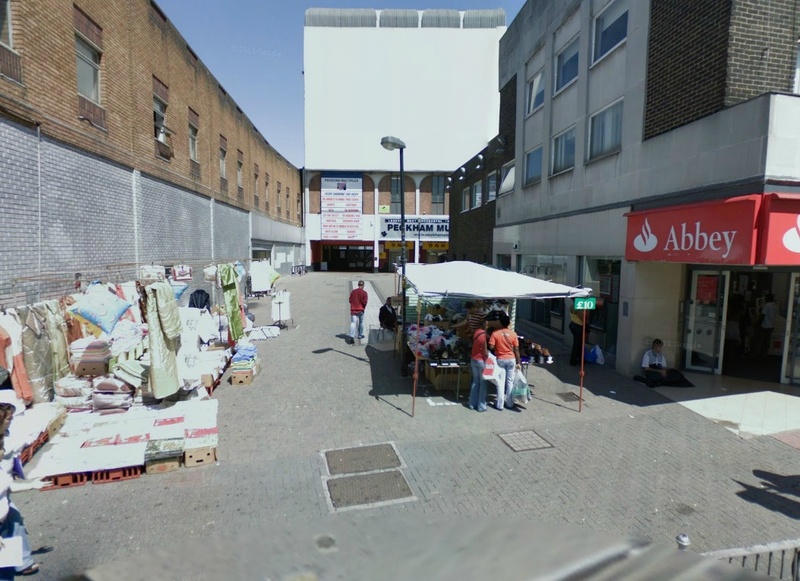 One month before this statement, Mark Williams said at the launch of the Latin Elephant’s Latin Quarter strategy for safeguarding this businesses said ‘It was a really positive meeting and I committed that we will formally recognise it as a Latin American area. I want to look at what support we can give them through the regeneration of the area and help them survive and grow through this change. Our role will be to work with Delancey and Lend Lease to have a retail strategy to accommodate them‘. To put it succinctly neither the Council, Network Rail, Lend Lease or Delancey have a great track record of looking after either local businesses or residents. Alarm bells sound, no? As another ‘creative’ part of the large Peabody Trust redevelopment on this site that stretches from the railway bridge on Newington Causeway to the junction of Borough Rd, Corsica Studios (the long running club in Elephant Rd) were running a temporary pop-up bar, street food of course and music events as their Paperworks project. This has now been superceded by the much less ‘creative’ and more heavily-invested in Mercato Metropolitano foodie faddy venture with added cinema, gym and hotel forthcoming. Another local good example of this creative pointlessness is Ben Long saying of his Stag: ‘With this project, my ambition has been to make an iconic artwork which functions as a surprising and integral part of people’s daily lives. It is my intention to create artworks that engage with people who might otherwise have little or no involvement in the visual arts‘. Wot, people like us? Cheeky bugger! Text added in by us! In many ways, the Council were not at the top of their game on this one as they has not been as serious about any such cultural audit of the area nor using the local creative sectors to open up the area to new investment based on how ‘creative’ and ‘cultured’ The Elephant is (as they has already done in Peckham). 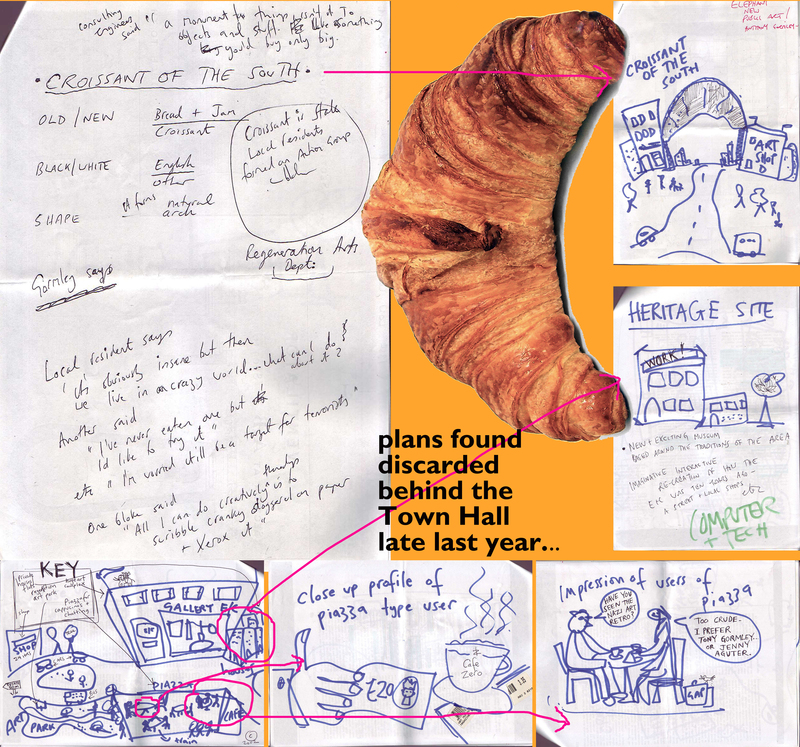 Up until this 2010 Cultural Visioning, they had been struggling to say much on cultural assets in and about the area with their only examples being the Imperial War Museum up the road in Kennington , Corsica Studios on Elephant Rd and the (ironically threatened by regeneration) Coronet Theatre. As there was already a massive swathe of new residential luxury and other homes going up in the area as part of the regeneration zone and the parallel “Opportunity Area’, artists were not really ever going to be the ones to open up the area from it’s supposed crime-ridden sink estates story to the mythical creation of a new ‘urban’, ‘edgy’ and ‘vibrant’ land of lifestyle expression and consumerism. The Council and it’s development partners has already opened up the area. It is only now and after many new buildings have been constructed and as current fads and trends come about as the result of the creation of temporary sites and spaces awaiting redevelopment, that artists and creatives are coming to the area. Not necessarily as residents, for most artists could not afford the new apartments, but as people on a day or night out. It may seem harmless enough to many that such pop-up bars and art spaces, street food places and open-air cinemas (and we struggle to say again that we are not against socialising, eating, watching films etc) but it is that very context of temporary places right before new development that bothers us. 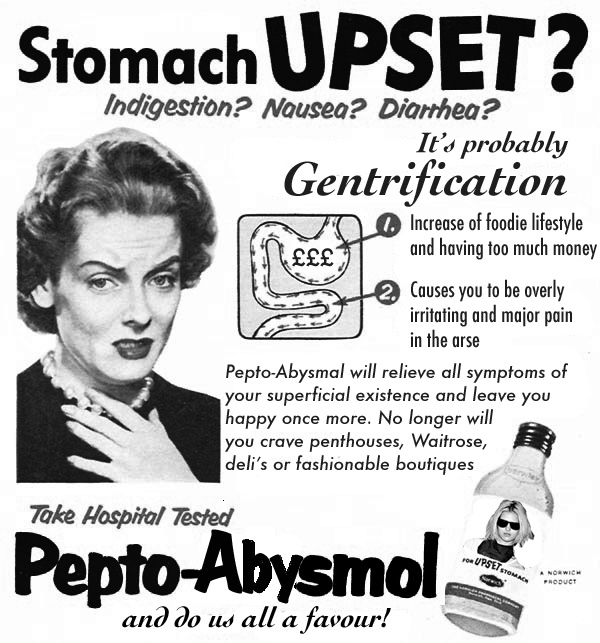 Is it okay to step into that context of gentrification, social cleansing and all just because it’s cool to hang-out, eat new foods and devour supposed culture? What part do these places play in maintaining the pressure on local people of ever rising rents for both shops and rented flats? We don’t see it as harmless fun even if we sound like curmudgeons. Such entertainments are not neutral and free of social and political consequence. Just look at the gentrifying uses of such cultural lifestyles on the areas of Hoxton, Dalston, Brick Lane, Peckham, Deptford, Bethnal Green etc. 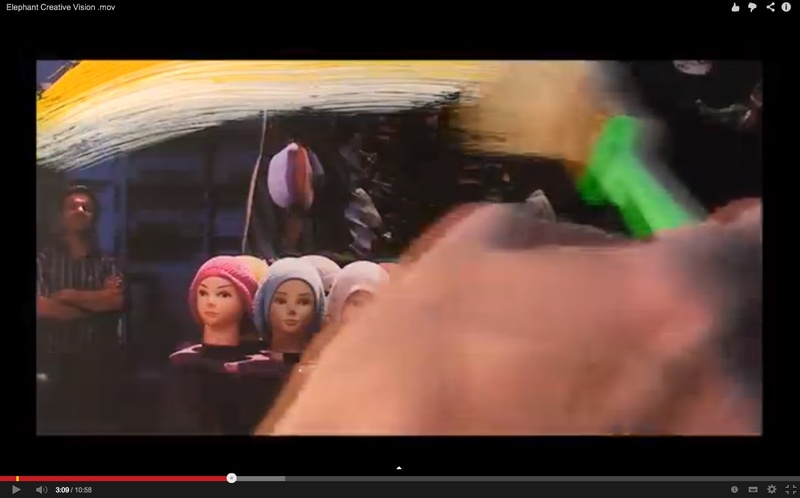 Anyway to finish up this section, we curate now a gallery of artworks that we took from the terrible and somewhat anonymous 2010 Cultural Vision promotional video. 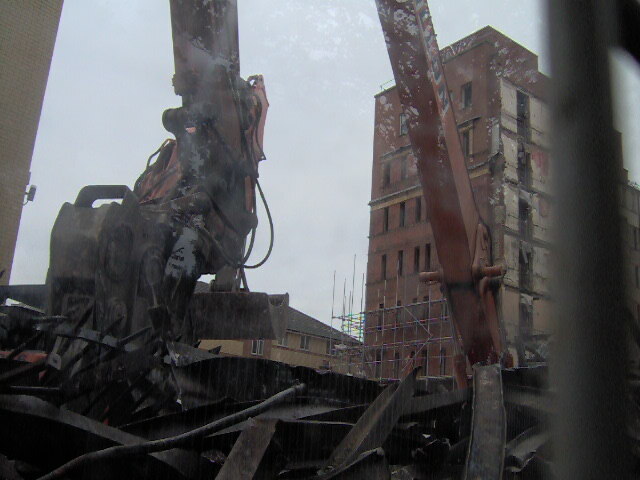 The video symbolically erases or demolishes local heart of the Elephant community: The Heygate Estate and the Shopping Centre. We were somewhat struck by this artistic vision as it’s a very unconscious and powerful symbolism of the heart of cultural colonisation of any area. Colluding with development interests, choosing a side in the battle in some ways, those kind of artists and artist-business people act as if the area is a new canvas once they have done away mentally with the old that stood in their way. Brushed away, the Heygate Estate! Brushed away, the Shopping Centre! Our favourite potent symbolism for cultural vision, an Asian market stall owner gets painted out and leaves only a cluster of white dummies in the area! 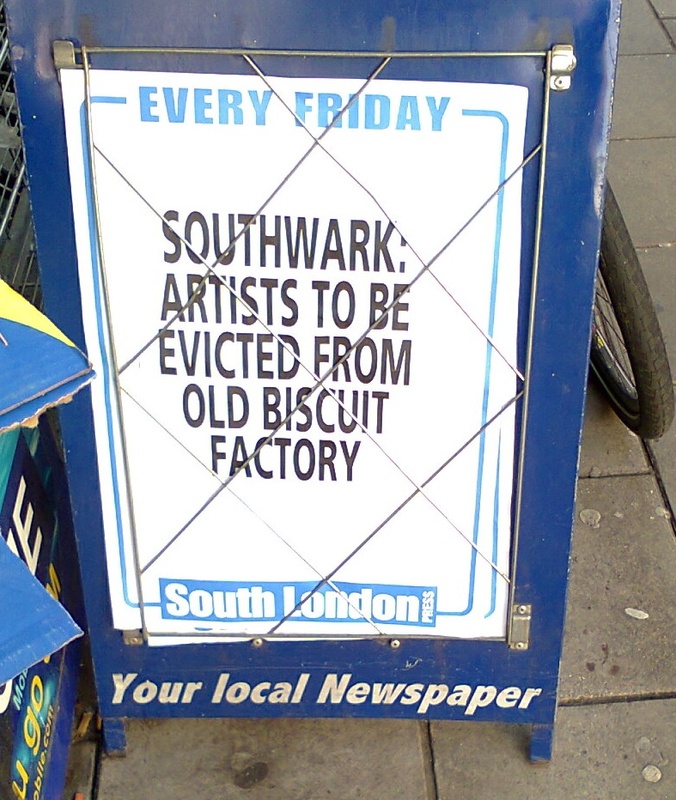 The same old art and gentrification story from Old Peak Freans factory in Bermondsey, 2014. The same headlines are forthcoming in Peckham. 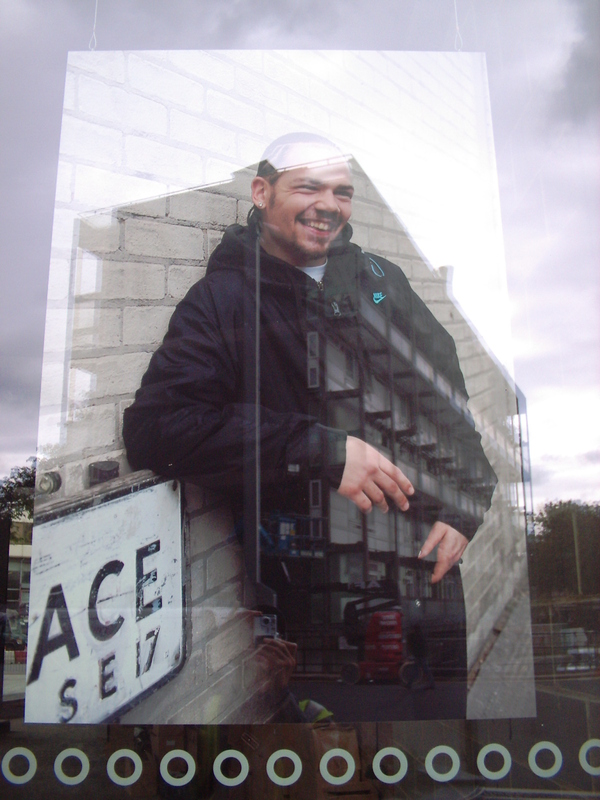 ‘To celebrate the official opening of Strata SE1 in July‘, photographer Hannah Maule-ffinch provided twenty or so ‘Faces of Elephant & Castle’, some of which we reproduce here. Alongside the faces were notes reading, for example, ‘Fred, 36 years in the community‘ making it all sound a bit like trying for parole! Anyhow no surprises that the portraits were stereotypes of The Elephant characters including a police warden, a Muslim girl, an African woman, Fred in his cloth cap and a local youth. Of course, all these people live here and that’s great but it looks more like a Council social inclusion programme than getting to grip with what makes The Elephant great. Somewhat amusingly appearing on the windows inside the empty retail unit is about as near as any of these people will realistically get to residing in Strata. 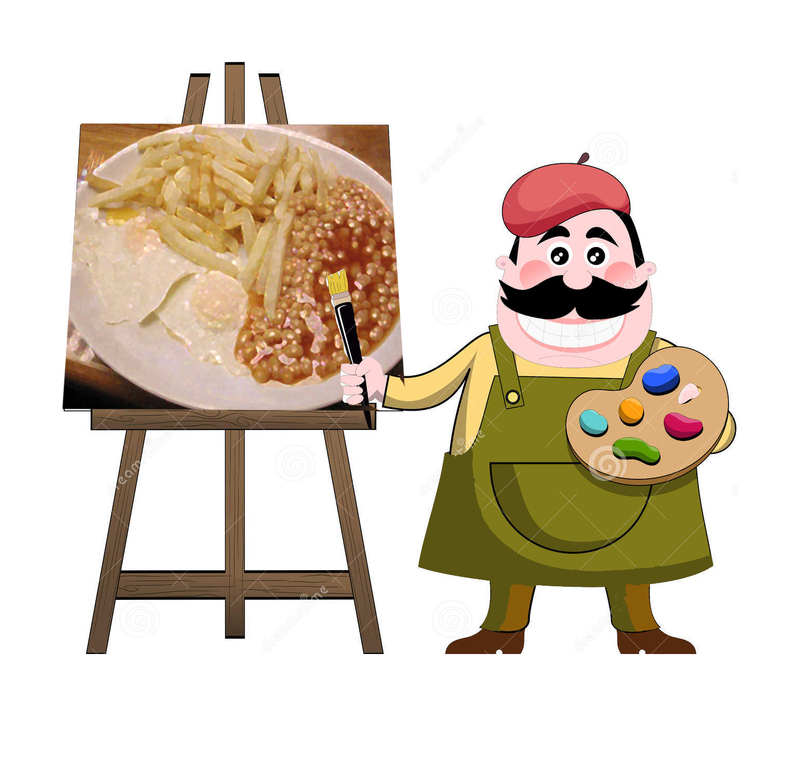 When we heard that Strata was getting all arty on us, we did fear the worse as ‘art’ these days when it’s applied to the public does tend to deal in the easiest and most simple of messages. The message here is that it’s all good at The Elephant. No-one is unhappy! No need for the past. No need for criticism. Everything has to be positive. It’s no surprise also that works of art by students of Camberwell College of Art have been featuring on the side of Strata too: ‘Working with the College, Brookfield set their artists the open challenge of creating a piece of public art which best depicts community and sustainable living in the Elephant & Castle. From a swathe of entries submitted by students twelve were shortlisted by a panel of judges…The winning submission is already in place on the two large glass panels enclosing the building’s foyer‘. ‘This artwork takes the form of a stylised flow of panels that ruminate upon the technical and social aspects of the building, offering glimpses into Elephant and Castle’s bright future. Community solidarity, environmentalism, cutting-edge technology and a glance back to the base function of the home are intertwined together in his attempt to envision the new lives of the dwellers of Strata SE1 and those that live around them’. We await with trepidation the proposed £100,000 of Section 6 planning gain money that Strata has promised ‘for an art installation (made predominately of glass) within entrance area‘. 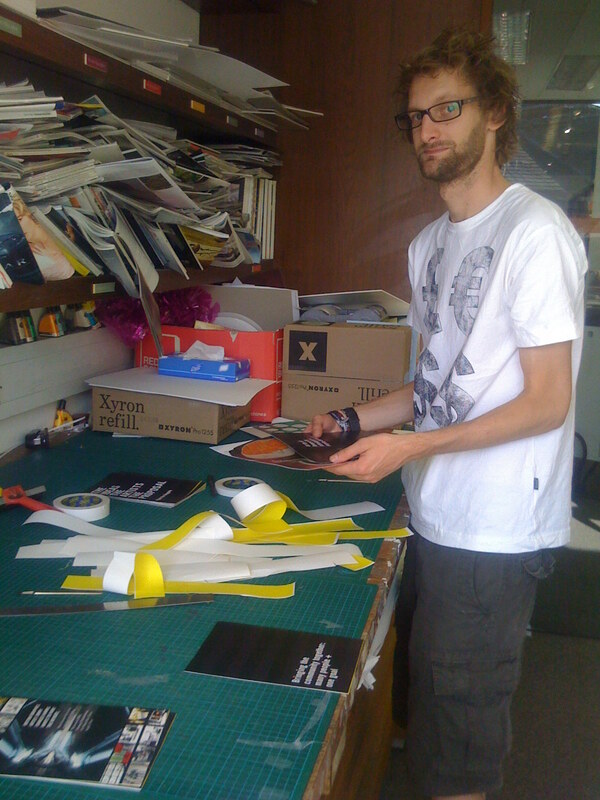 UPDATE: FEB 2011 – Oh, the S106 cash was spent on the Camberwell College pieces instead! Hilarious and great value for money if a little bit temporary. Not really a community benefit as S106 is supposed to be. Not even a crappy sculpture! MARCH 2012: We found out proper that in fact the £100,00 was allegedly spent on on the above described arts project and not spent on the creation of some fancypants glass public art tucked away in the Strata foyer. 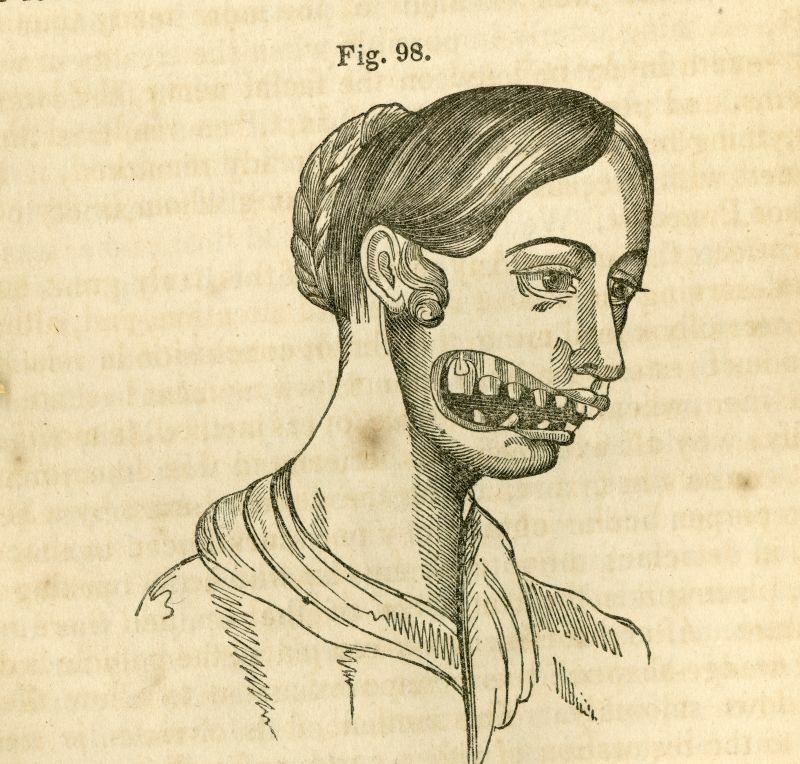 You can read the grisly details here in a Freedom of Information Request. Questions concerning the merits of such a process are never asked of people. That would be to question entirely the business-led model of regeneration. Corporate Investors like Oakmayne or St Modwen do not invest in people. They invest in brick and concrete for profit. What would a local people-centered regeneration look-like? 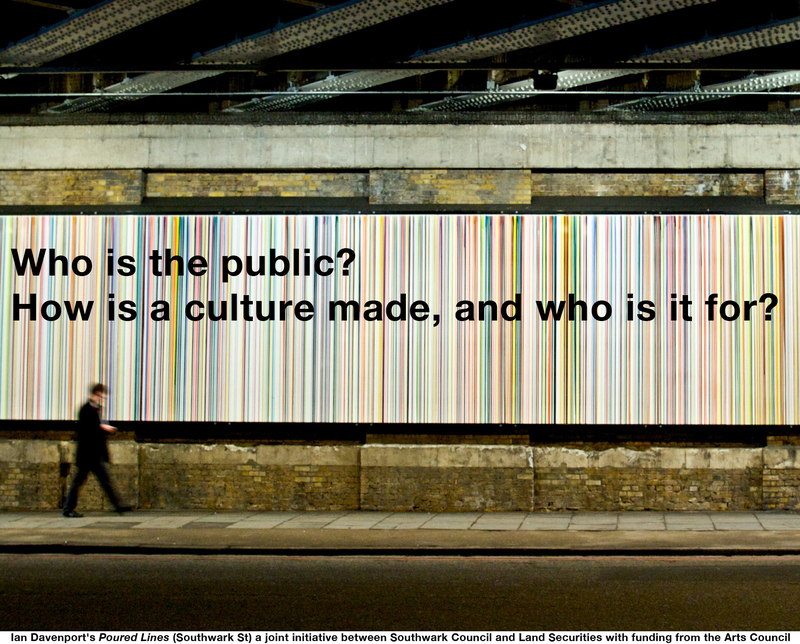 Similarly, what would a genuine public art look like? 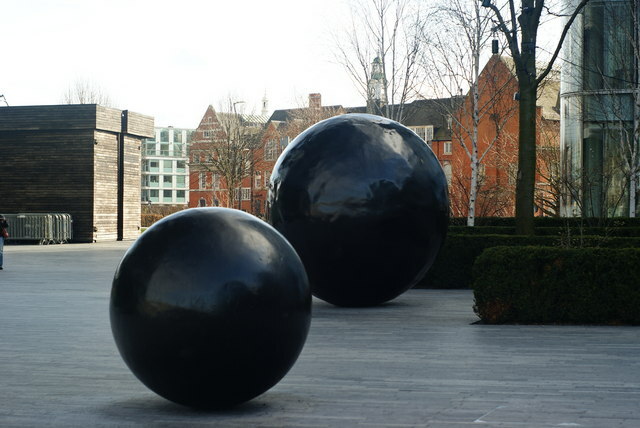 Like this maybe from Alberto Duman‘s entry to the Spitalfields public art programme. It says ‘CAUTION: CLEANING IN PROGRESS’. Very wry! 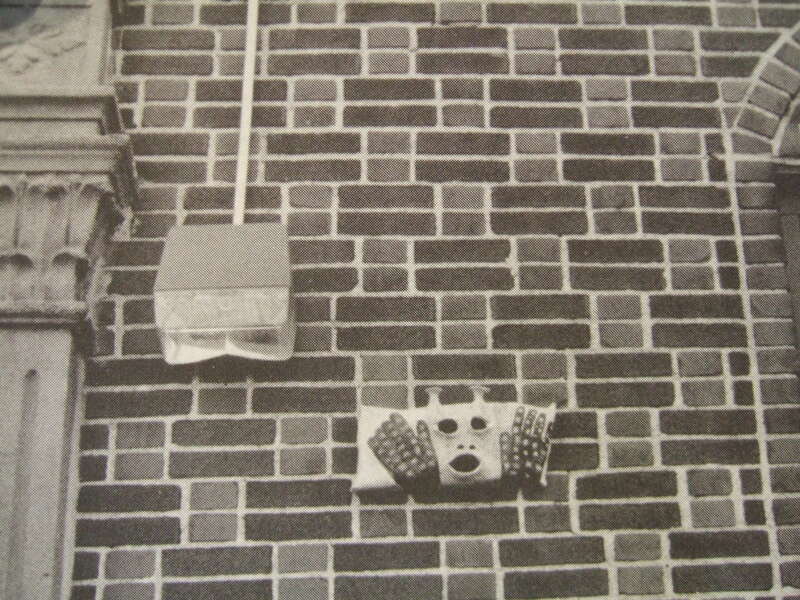 We also like this old sculpture from New York in 1987 by Dina Bursztyn. It’s from a series called ‘Gargoyles To Scare Developers‘. FOR THE COMMUNITY, INIT? ISN’T IT? Leaving aside the more public artworks as described above (statues and murals and stuff), there has recently been a local tendency for an increasing amount of artists working in ‘the community‘. 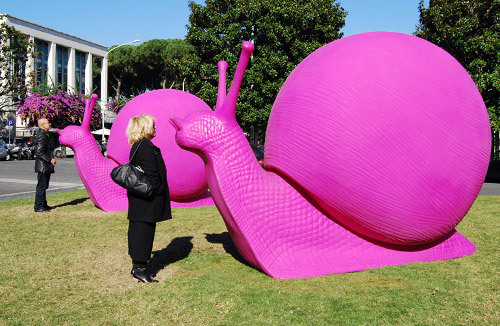 That there has been a swing away from the heavy object-based public art towards a lot more more supposed community-based art projects is no surprise really. It just really follows a trend set between a horrible collision of art schools working with councils and developers,business and retail associations, more clued-up property development managers who understand how such local projects are really good public relations and marketing exercises and finally aspiring artists keen to be ‘socially engaged‘ or ‘work with participation‘ and so on. The key to the above is that such community-based projects seem to be more grassroots and all about hearing people’s voices than plonking down a big silly statue outside a new development. That must be ‘cos listening to what the community is all about must be A GOOD THING, RIGHT? Well, not always! Very few of these art projects have any real contextual sense of history of place (other than that very personal one described in our list above) nor any real sense of both the cultural and aesthetic battles long fought out in poor communities by working people or the duration of local politics of housing, work, service provision and why that stuff is so important.The Tate aside from being a giant property developer itself, was one of the key reasons why Bankside took off as a site for mega-posh developments such as Bankside Lofts, Bankside 123 and Neo-Bankside for example. Would The Tate like to do a local project on this gentrification and it’s complicity in this process? Well, yes, almost but only it it could be spun ‘artistically’! 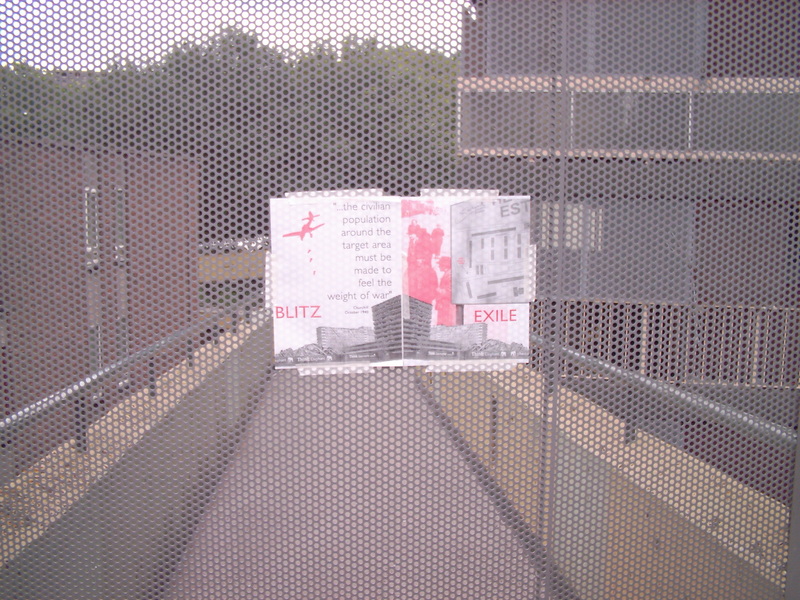 They had something about local history and it’s historical contentions in 2005 when two Danish artists Elsebeth Jørgensen and Pia Rönicke were invited to rummage around in the Southwark Local Studies Library (as we do for this site) and stick what they found up on the hoardings around the Tate! 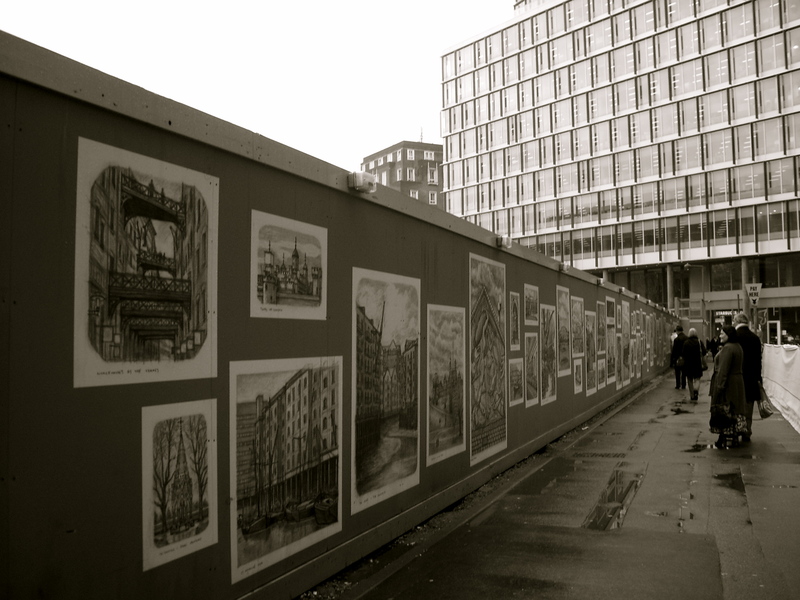 Again in 2010, Swedish artist Martin Karlsson, put his updated drawings of Gustave Dore’s amazing and hellish vision of London from 1872 to modern days on the hoardings that surround the site of the Tate mega expansion development! Here is one Gustave Dore we like that says it all about the difference between heritage and history and the fairly bland nature of Karlsson’s idea and vision. Yes, we didn’t like it as an art project. Sorry. Dore’s London: A Pilgrimage is pretty profound after all in it’s vast biblical close-up of the dark everyday misery of Victorian London and its labours. DO YOU REMEMBER WHEN YOU WAS WORKING-CLASS ALL PLAYING CARDS TOGETHER DOWN THE BOOZER? It reminds us the pitfalls of the Oral Histories movement of the 70’s and 80’s. Lots of great stories of working people’s lives and stories that would not have been recorded otherwise but often so uselessly devoid of talking about the context to these stories. 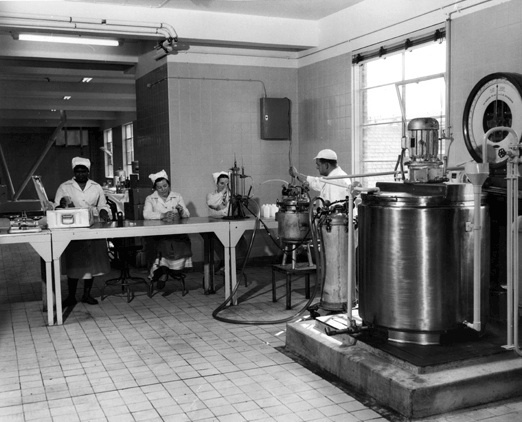 So often, tales of hard work in the jam factories or in the wharves would be as simple as ‘oh, we all loved working together, there was real camaraderie, everyone got along..‘ etc. No real sense of questioning hardship, poverty, struggle to maintain wages, conditions, health, sanity etc. But these last struggles are what made the communities of North Southwark so strong. Where are the community art projects on the 1911 Bermondsey General Strike or the numerous strikes in Surrey Docks over the years? The defeat of Mosley and the British Union of Fascists at Long Lane in 1937? The rout of the National Front on Walworth Rd in 1980? On the resistance to the LDDC at Cherry Gardens in the late 80’s? On the Southwark Anti-Poll Tax Unions of 1990? It’s not that all art has to be political, of course, how boring that would be but that something contextual needs to be present at least to even understand how communities are formed, what cultures exist within them, what messy problems and contradictions are fought over in these cultural histories and then, more pointedly, what powers break these often different and overlapping communities up again? ‘The emphasis on personal qualities and social networks will most likely give rise to projects that centre on the affective. (Such) baby steps in the formation of community initiatives are treated as deserving of the moral (and professional) equivalent of merit badges, for a generation raised on images and virtual communication and lacking a sufficient grasp of the sustained commitment required for community immersion. These projects can capture the attention of journalists and municipal authorities, all speaking the same language and operating against a backdrop of shared class understandings. But it renders invisible the patient organising and agitating, often decades long, by members of the local communities‘. This local Southwark work by artists FrenchMottershead entitled ‘Walkways‘ actually is one of the few we have come across that lets local people have their say and say more than the usual dreary old tosh. The artists said ‘We chose to work with four citizens of Southwark, one of London’s fastest developing Boroughs, who each showed varying degrees of control or conscious resistance, amidst the changing urban and socio-economic environments of their lives. 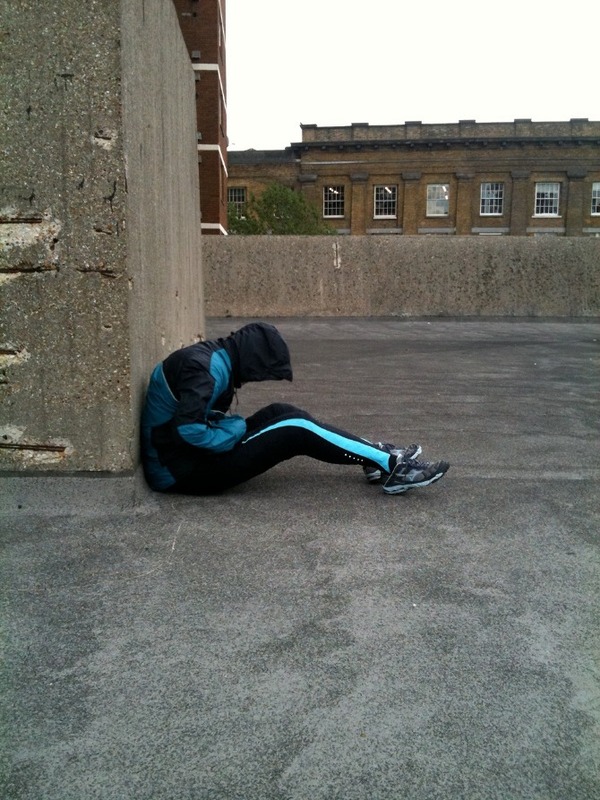 After following participants on their normal walks, we explored different ways in which we could intervene into these everyday acts and reframe them into a performance, which posed questions about where these people wanted to go and how they wanted to get there’. Video of the locals and their walks is here. Interesting video from Canton St, Limehouse on local residents saying No quite vocally to the setting up of a temporary performance space in old garages on the estate. 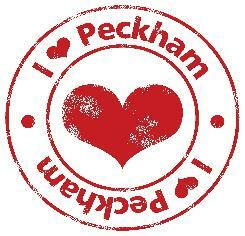 THE PECKHAM EXPERIMENT: The Empire Strikes Back! 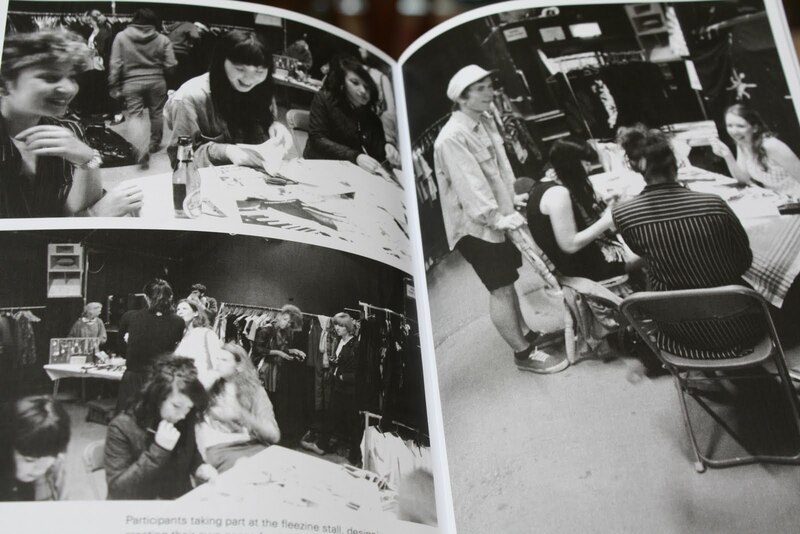 – Increase access and encourage volunteering to build audiences and encourage participation in artistic activities. That Peckham Partnership’s building partner Countryside Properties can boast ‘One of the most important achievements for the project was creating and developing a housing for sale market where previously none whatsoever existed. Countryside’s commitment to carry out the first housing for sale in the area, eventually totalling 600 new homes, was very successful not only in creating the demand for housing for sale on the former Five Estates, but also throughout the surrounding area’ says it all really! Bad Points: ‘Give it five years and it’ll be like Clapham“. Thus full of upmarket chain restaurants, coffee-shops and independent boutiques and some silly people acting all bohemian. So although it’s great to move to Peckham because of all the arties and the good foodie stuff, by doing this you will cause the area to turn into somewhere the same as every other gentrified high street. Where to buy: ‘It’s all Bellenden Road and the surrounding neighbourhood – large Victorian terraces and town houses, plus the odd scrap of (now) cutesy artisan cottages, such as Choumert Square‘. 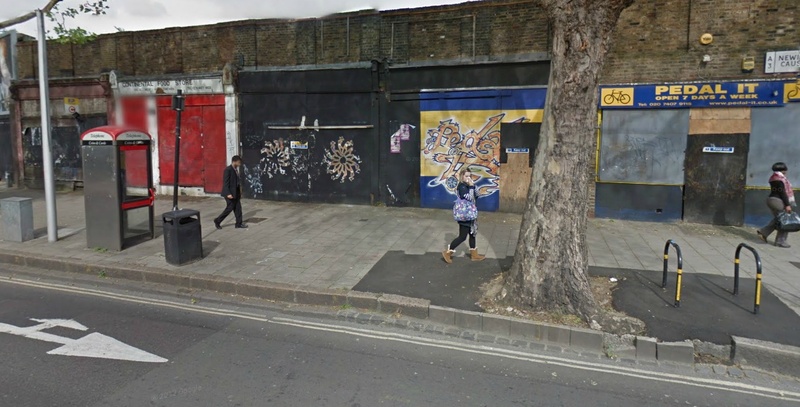 This sits cheek by jowl with what we said above about how Bellenden Rd Renewal Strategy used arts to make the first safe zone in Peckham. 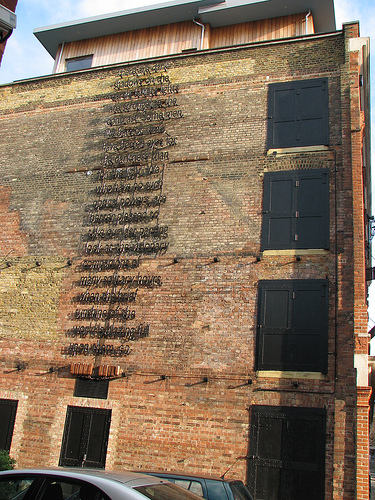 ‘The Butlers Wharf story charts the classic case of artists as pioneers who find low-cost studio space in neglected inner city areas, move in, preserve and renovate causing rejuvenation within a few years, thus drawing attention to the area and ‘lifestyle’ possibilities, ultimately being forced out by the property market’. 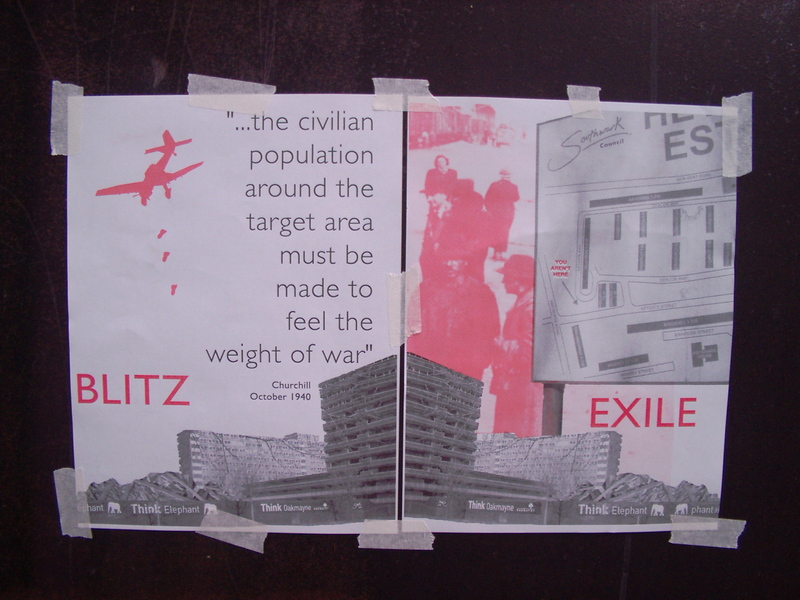 December 2010: These posters were recently put up on four sites (that we counted) – Strata, Oakmayne Plaza, 360 London and the Walworth Rd site opp Heygate. We can’t say we’ve seen any other local ‘artistic’ endeavours that place a critical voice in the area. Anyhow, we liked ’em. 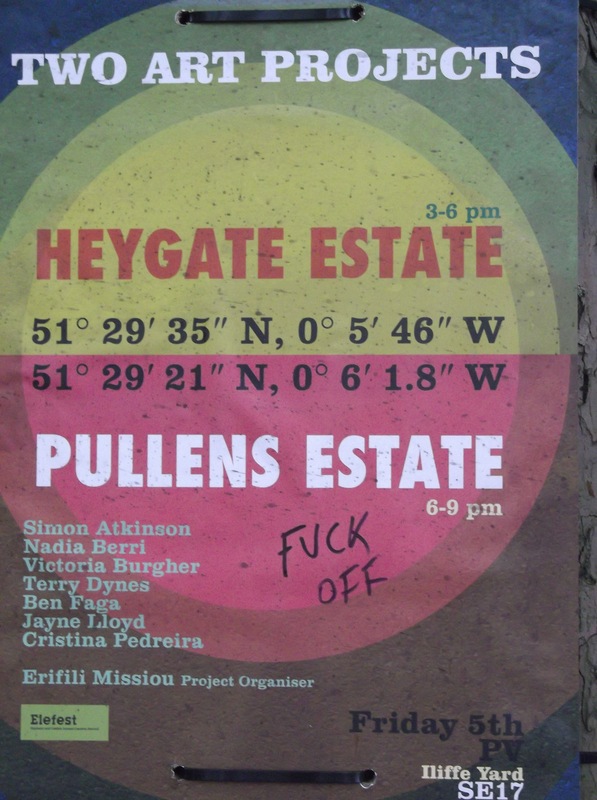 June 2011: On a quick walk around the place when we were looking at the newly erected metal fences blocking the way from the footbridge over New Kent Rd into Heygate, we saw a lot of new posters all over the place. 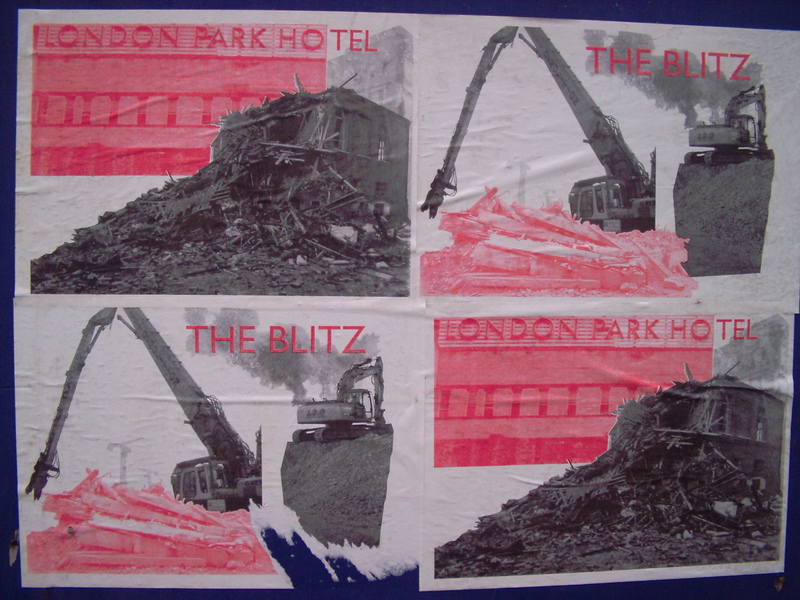 Obviously part of the same series as the ones from last year, these ones featuring the demolition of the Heygate Estate and the notion of a ‘Blitz’ and the ‘exile’ forced upon the local tenants, now removed! Nice one, you arty types! NB: We list below artistic projects and so on that we come across in the North Southwark area although this list is by no means exhaustive. Some times we go and check out the shows and projects and have a chat with the artists which is sometimes nice and sometimes not so nice. It would be silly to insist or labour the points between the gentrification of the area and these specific projects because the situation is much more complex and contradictory than that. So we refrain from being too personal about it all even if some projects and project funders are based on an implicit regeneration agenda. With this in mind we have chosen to mainly use what the artists or projects are saying about themselves and to post up links so that people can explore the works further. 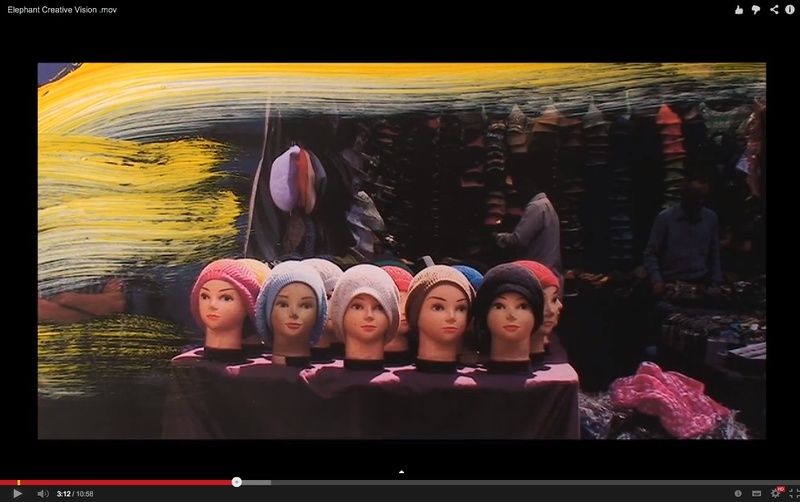 ‘Vision Quest by visual artist and filmmaker Marcus Coates, commissioned & produced by Nomad. 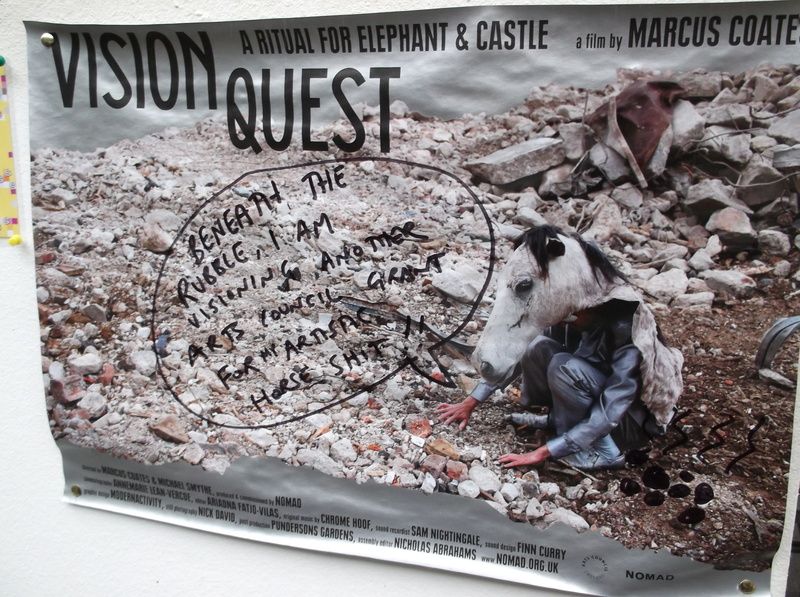 Vision Quest is a feature length documentary set in the South London neighbourhood of Elephant & Castle. 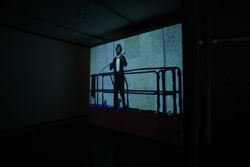 The film documents Marcus Coates’ personal journey over a two-year residency period in the neighbourhood‘. 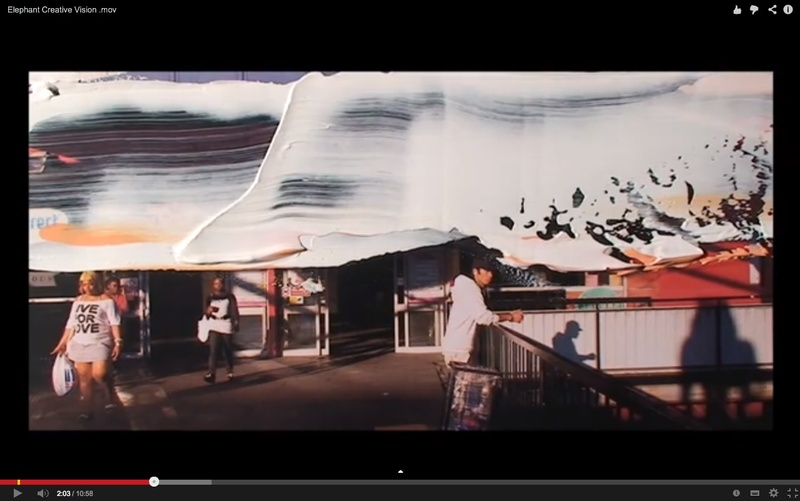 The Vision Quest documentary is now done and was shown in the Shopping Centre in April 2012. Allegedly it follows Coates as he “endeavours to locate animal spirits to guide a community experiencing a disruptive redevelopment scheme“. For this “unlikely urban adventure, a group of residents from the iconic Heygate Estate, local politicians from Southwark Council and the psychedelic doom rock orchestra Chrome Hoof, collectively embark on a journey into the depths of neighbourhood, presenting an alternative, inventive and entertaining approach to dealing with contemporary social issues, such as gentrification & the economic crisis“. Charmingly The Heygate is described thus: “Completed in 1974, the Heygate’s generously sized flats were initially popular with council tenants, but the estate gradually struggled with a reputation for violence and deprivation during the Thatcher era. Today, the estate is 99% vacated, save for a small number of leaseholders. It presently awaits demolition.” A partial potted history that asks no critical questions in it’s description. 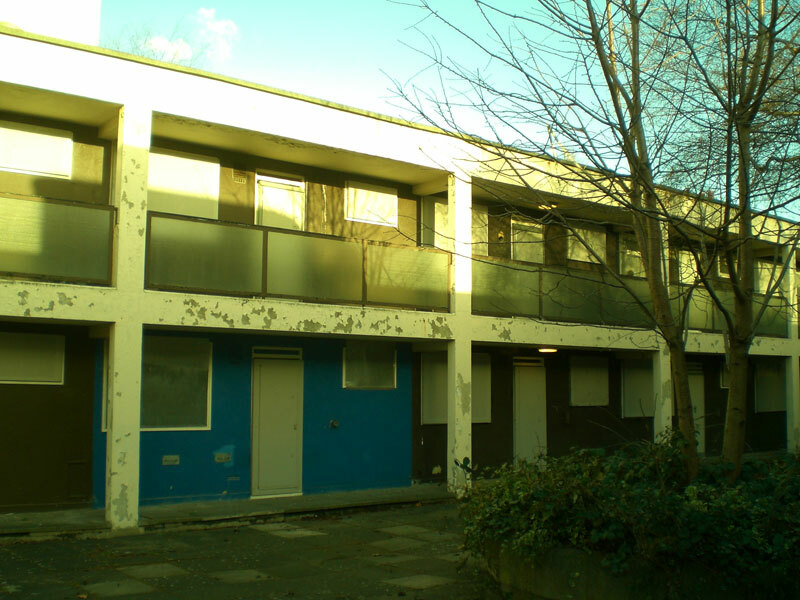 Seeing as the Thatcher era end in 1997, we wonder what was happening on The Estate in the years 1997 to 2012? Also ‘vacated‘ is a very polite description of the decant and it’s humiliations. You can watch Marcus Coates previous video from a regeneration site in Liverpool where he goes on a vision quest to answer some local tenants questions about their own decant here. Warning contains scenes of vacuuming the carpet! 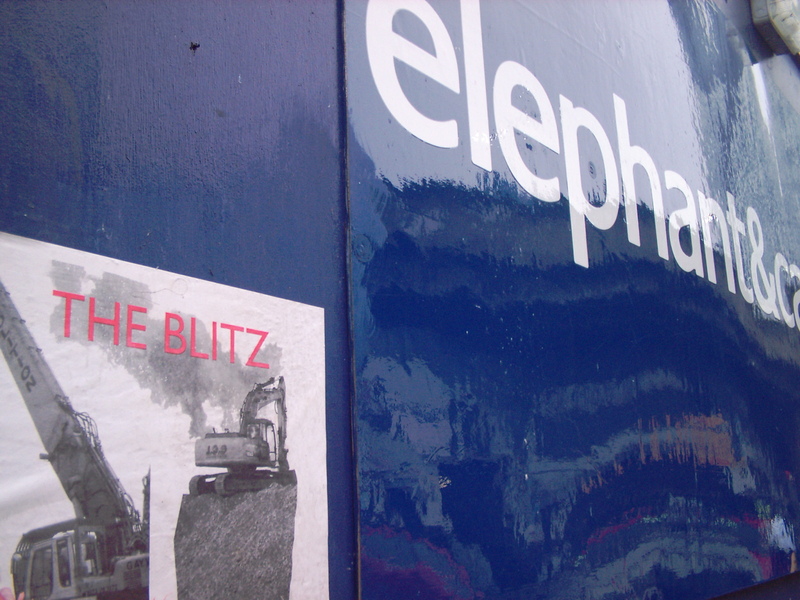 APRIL 2012: We saw the film and can only suggest that urban shamans at Soundings consultants have been providing a better Ritual For The Elephant in their series of entirely ritualistic consultation forum meetings. The film itself, which took three years to make and ‘involves residents‘ comes over as a bit of yawn in the end as it runs out of steam after almost building something up. Only one resident appears on the screen as having any real engagement with Coates but then is only really a somewhat polite and bemused participant. It’s hard to see how this could be described as ‘collectively embark(ing) on a journey into the depths of the neighbourhood”. A local man turned property developer or development consultant who talks in all seriousness about ‘Neo-London‘ has more South London chutzpah with Coates and at least manages to take time away from the artist relentless self on the silver screen. 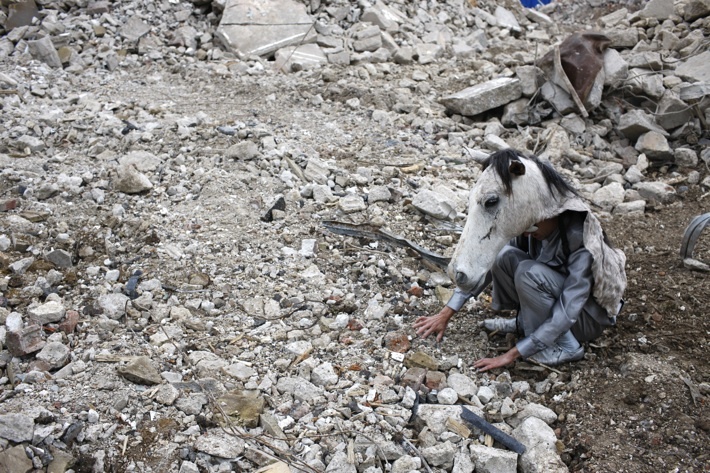 The officers at the Council regeneration dept seems about as full of life as the stuffed horses head Coates wears to do his ‘shamanic‘ visioning. Along the way, some colourful working class characters are thrown into the mix as is usual and normal in these kind of things – Jamaicans playing dominoes, local boy with his big salivating dog etc. 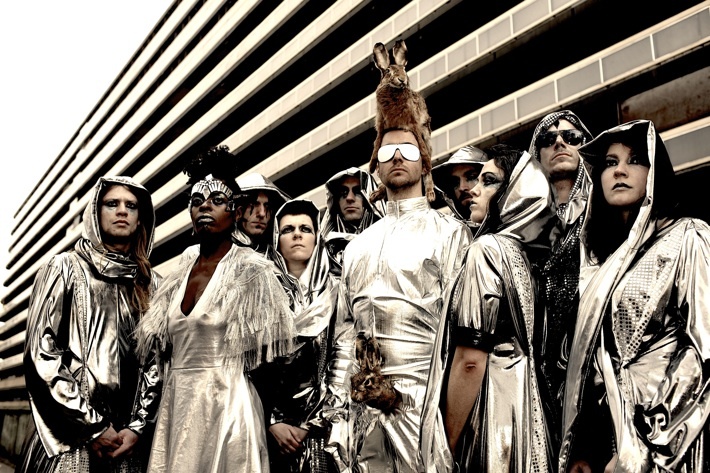 In the end the footage from the Chrome Hoof Ritual For The Elephant gig is intercut in a rapid noisy sequence with footage from the Heygate Phase One demolition. Marcus trills like a bird in the ruins, and then we hear the ‘vision‘ Marcus has brought from the underworld of apathetic seals on the horizon and birds making little nests under his armpits. Is this an analogy for bad developers and poor local people needing nests? Expecting more at this point we were surprised when the credits suddenly came up. It’s all so wacky and insubstantial as to leave you wondering how artists can occupy such privileged positions these days? They seem to ask to be taken seriously even as they serve up any old nonsense and guff. It’s all covered by the tag ‘art’ anyhow as if ‘art’ means that it’s all okay, it’s all good. If artists seem a bit self-confidently out of the depth than not to worry as the usual wackiness covers up any real political antagonism or need to actually engage with local people who come over as sad and resigned to the regeneration rollercoaster. 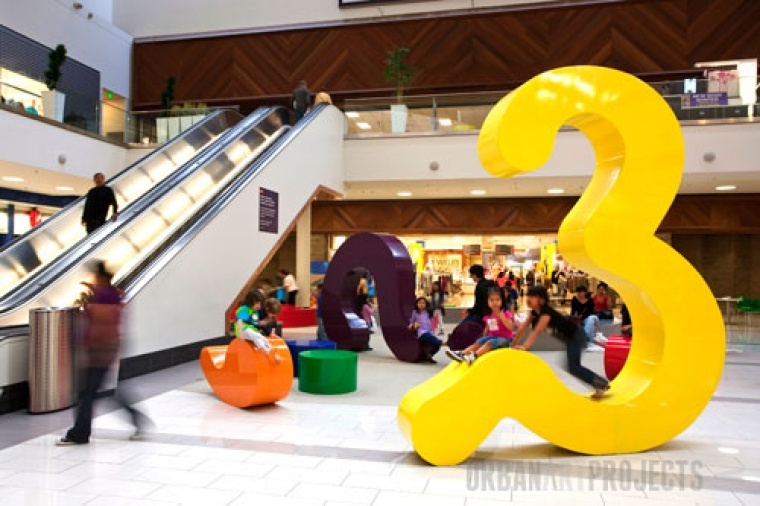 Some people take artists seriously though – the Arts Council in this instance who stumped up some cash for the screening of it at the Shopping Centre. Marcus is now off to Norway on another residency. And so it goes on. Worth pointing out that the Elephant Amenity Network held it’s own Community Visioning event in June 2011 as an attempt to gather local people’s ideas, knowledge and desires for their area. This is the kind of vision we want to see more of. ‘The Elephant Rooms is a new transient art space which will pop-up at different locations throughout The Elephant and Castle Shopping Centre bringing art into vacant shops made available by St. Modwen, regeneration specialist and owners of the iconic building’. Abysmal group show co-ordinated by typical art sort talking a lot about ‘the community‘ but not really understanding even which communities make up the local area. * Flee at Corsica Studios (new-ish arty crafty market thing hosted by Corsica Studios). Southwark Notes went but we chose to flee! Lucy Harrison writes ‘I’m delighted to be working at Pembroke House in Walworth this year, for Tate Modern’s Community and Regeneration team. I’m going to be producing the next issue of the newsletter Tate Modern and You, which is usually distributed in the area nearest to the Tate, but this time is extending its area to Walworth as well‘. 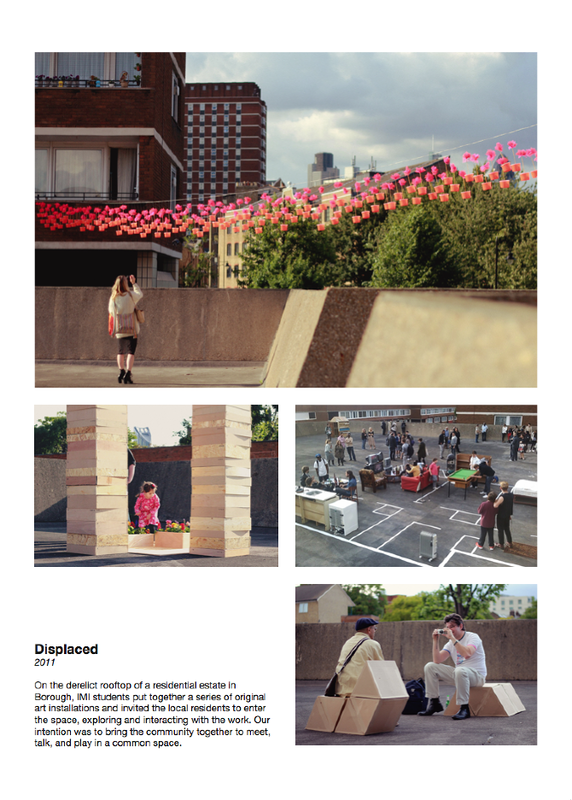 * Displaced – ‘an empty/banned/disused rooftop is appropriated /overthrown / altered for a day – Featuring work from second-year Interaction and Moving Image pathway of the London College of Communications BA Graphic and Media Design. 9th June 2011 – Kipling Estate, Weston Street, Borough SE1‘. From the Leathermarket Estates Joint Management Board site – “For one night, they will be ‘reclaiming’ the rooftop children’s play area above the garages between the tower blocks of Simla House and Burwash House. The theme of the exhibition is about reclaiming public space. In this case the children’s play area was closed off 30 years ago . The artists blurb for the event says “our intention was the bring the community together to meet, talk and play in a common space“. 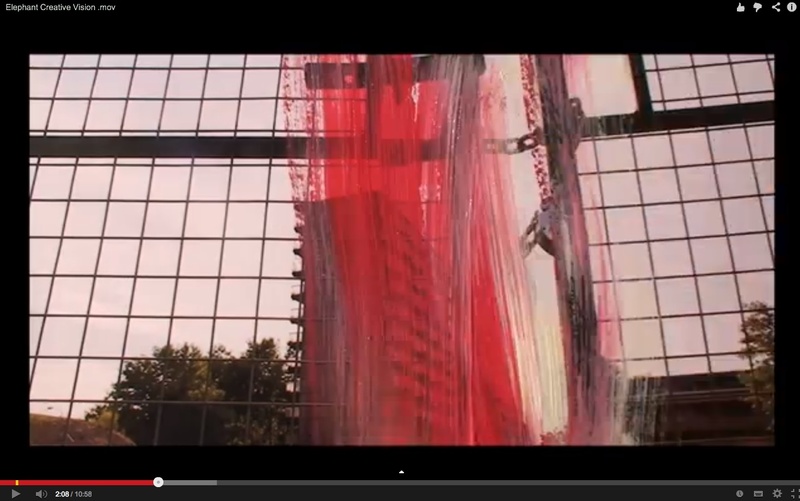 Displaced video here – all the usual concreteness going on! A longer video that shows the working out and the event itself here. Pics of the art here. 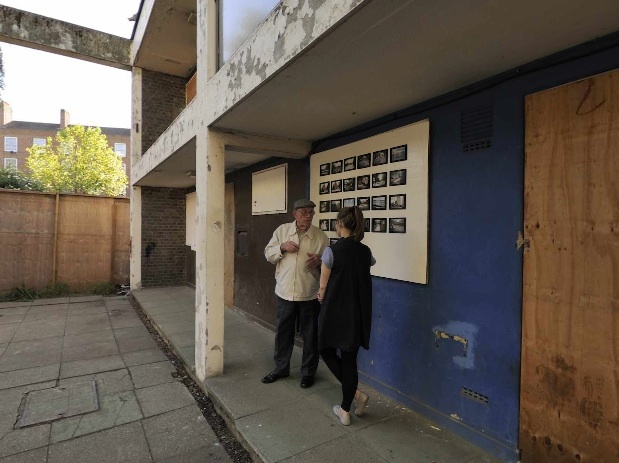 The LCC’s Design for Interactive and Moving Image had previously been active on the empty flats on Harper Rd where Roger Hiorns Seizure was: “Situated in the courtyard and several flats of a now demolished council estate, students, consulting with local/former residents and schools curated an exhibition exploring the nature of community, identity and local history“. The LCC occupies a funny position within any potential regeneration of The Elephant. Some leaseholders on Heygate Estate has already been critical of other LCC student projects that focused on Heygate that they felt were too intertwined with the Council PR spin on how horrible the estate was and why it needed to be knocked down. You can read their account here. The LCC, as a major college in the area, like others (South Bank University) operates as an institution that owns large amounts of real estate – the land they sit on or the ownership of many properties in the local area. The LCC is already considering it’s own regeneration that factors in, of course, residential properties, colleges and universities increasingly becoming more about investment and profits than educating young and not so young people. 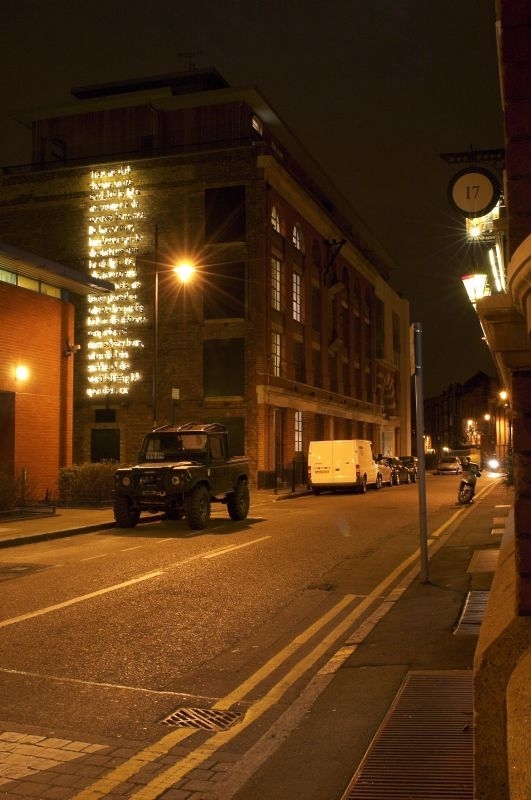 May 2012: Graham Gussin’s installation ‘Illumination Rig’ at the still empty 360 London site on Churchyard Row as part of a commission and tie-in to his show at the nearby Siobhan Davies dance studios on St George’s Rd. Lots of big film industry lights and some mirrors “as a way of painting directly onto a landscape“. 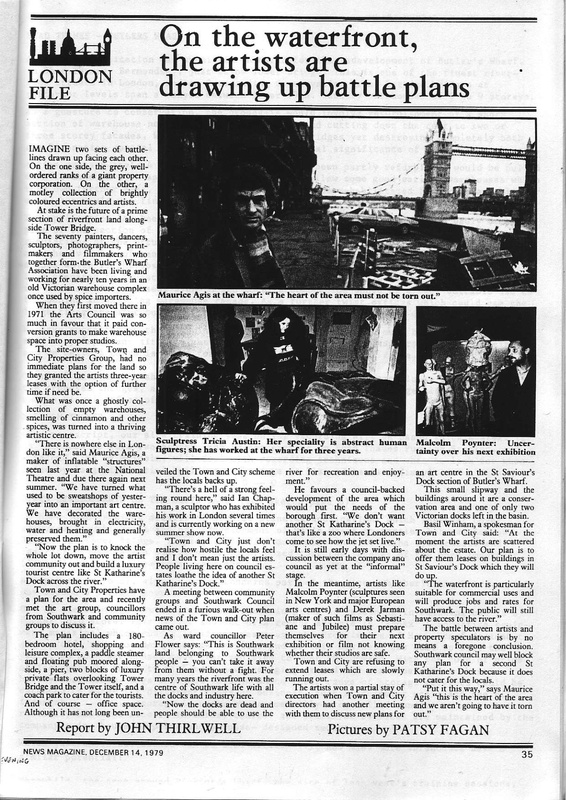 The blurb highlights how “Illumination Rig will reflect the fast changing landscape of Elephant & Castle..”. We laughed then at the irony of putting this on the 360 London site which despite planning permission and demolition of the wonderful old Rowton House (and then the London Park Hotel) remains a site of massively slow non-activity since 2007! 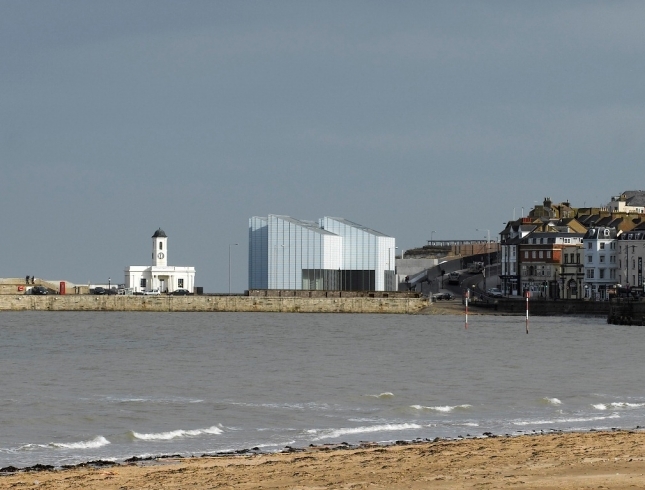 The work has previously been shown in Reculver, Newcastle, the United Arab Emirates and also for the opening of large new Turner Contemporary museum in the gentrified harbourside ‘cultural quarter’ (ahem!) of Margate. 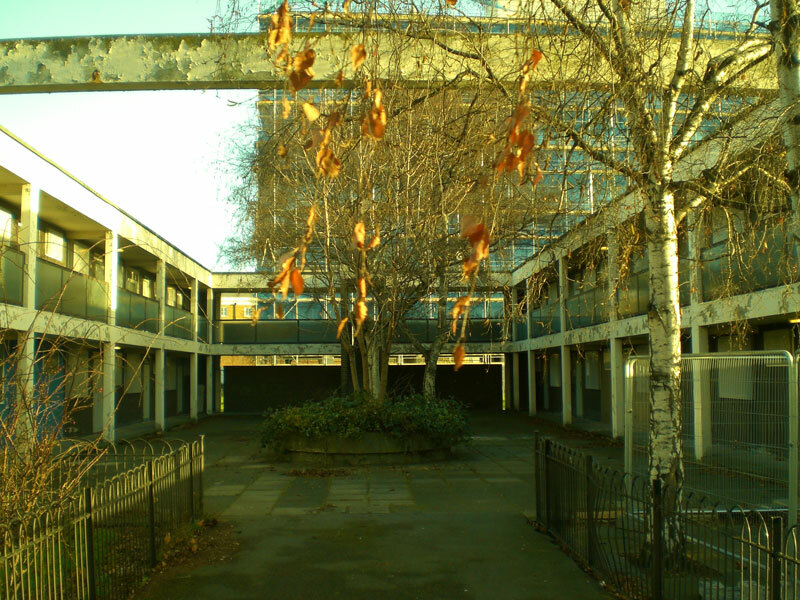 Typing ‘Heygate Estate Ruins’ into Google images will give you about a trillion photos of ‘urban decay’ and ‘poetic ruins’, no doubt. Since all those funny tenant people were chucked out, the Heygate has become the home to a new and exciting urban safari where you can walk the ruins and snap away to your hearts content, taking a few edgy angles of the brutal concrete and the abandoned trash in the now empty gardens. Southwark Notes gave up leaving comments on all the blogs with these photos on where the first few lines always say “The Heygate, an infamous estate now awaiting regeneration…” and so on. We even heard one guy say ‘I never used to go into there at all when people lived there but now I have been going in and with all the trees and the quiet and, you know, it’s a really exciting place...’. Nice one, dude! It’s not the first expression of something similar from artists and photographers we have spoken too on encountering them on Heygate. 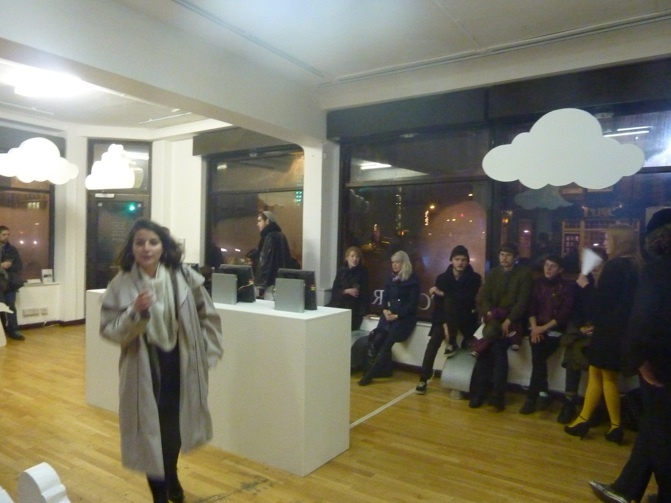 “The only way to ensure that you will make it to the 10th floor of a Peckham multistorey car park, sans escalator, thereby not missing a single art installation on the way? Put a bar on the top. Genius. The genius in question is artist, Hannah Barry. The bar is run by an independent business man called Frank. Kat and I made the ascent to Frank’s Café and Campari Bar. Within 20 minutes Frank was speaking to us candidly about how he ended up at the top of a Peckham car park. 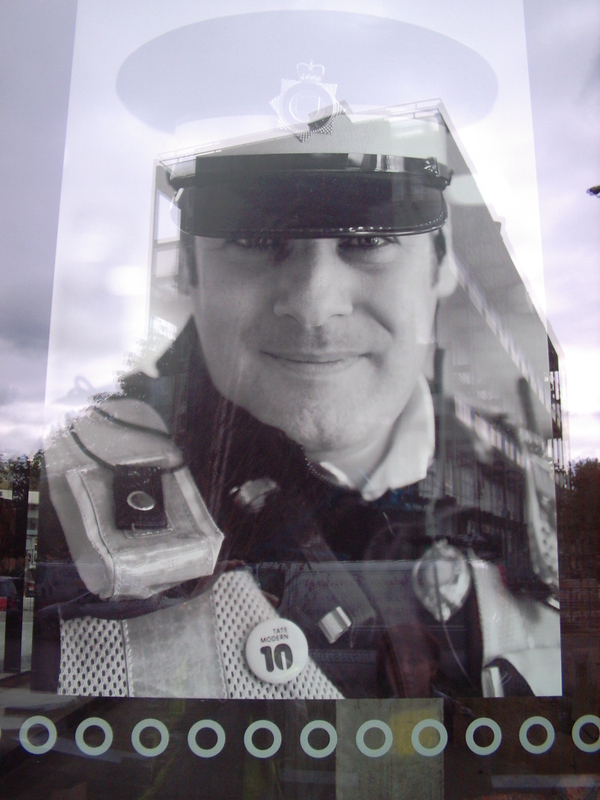 Hannah Barry had approached him about setting up this ‘pop-up cafe’ and she, or rather her contacts, helped steer him through any troubled waters with local council, residents or alcohol license acquisition on his journey – Cllr. Lewis Robinson was a personal friend of Barry’s and he had helped her find the space”.